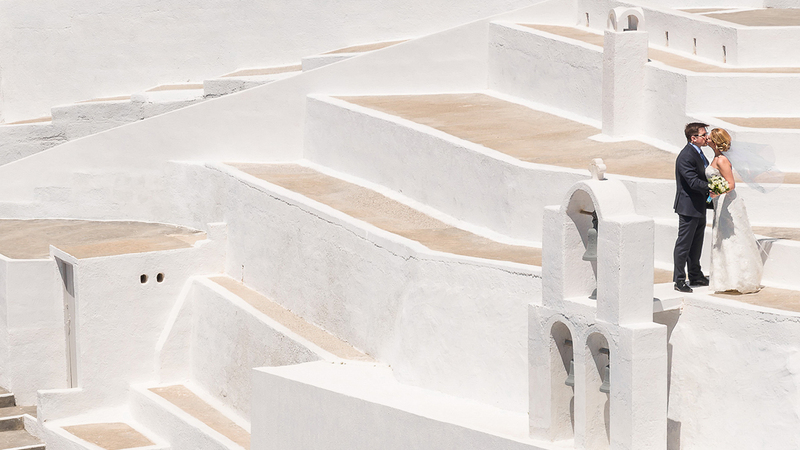 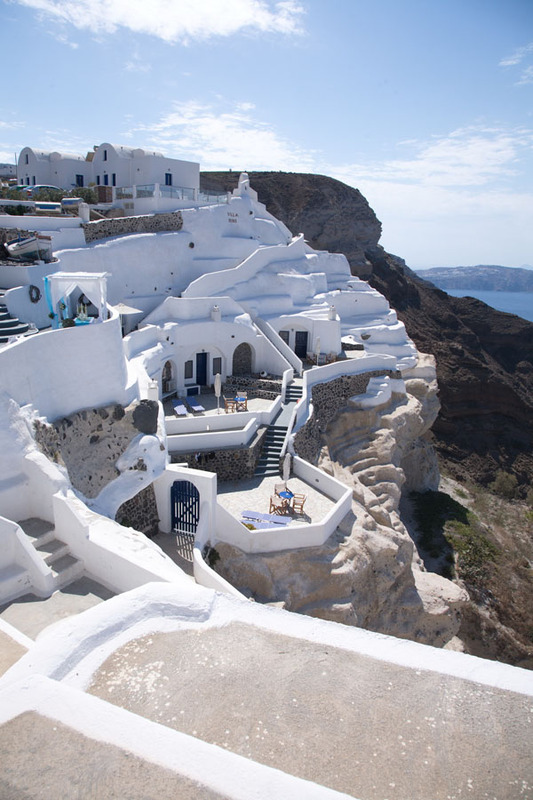 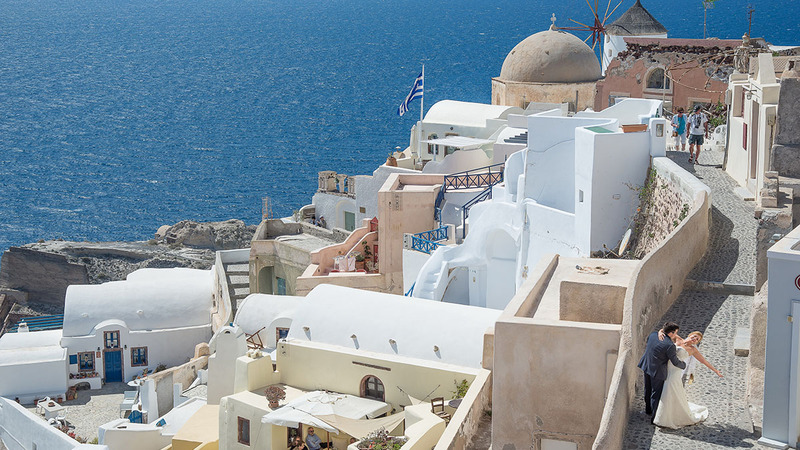 Santorini island is one of the most beautiful corners of the Mediterranean. 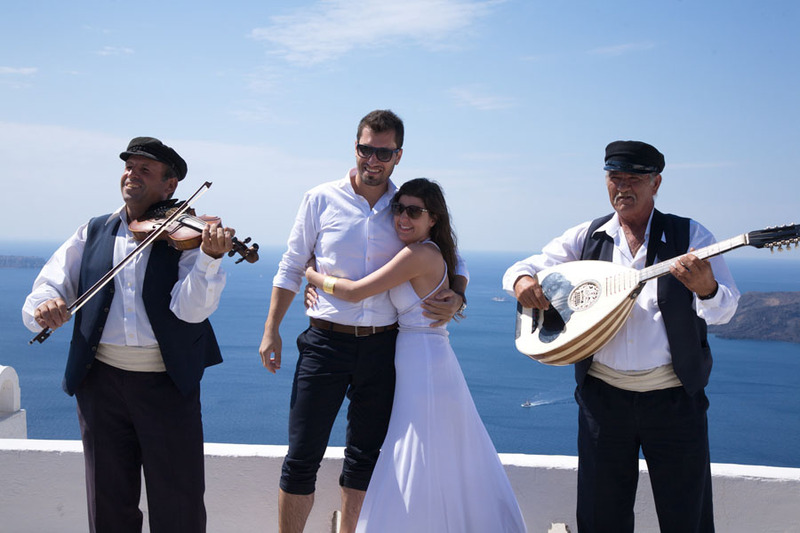 In addition to its natural beauty, it attracts thousands of couples from all over the world for its legends and traditions. 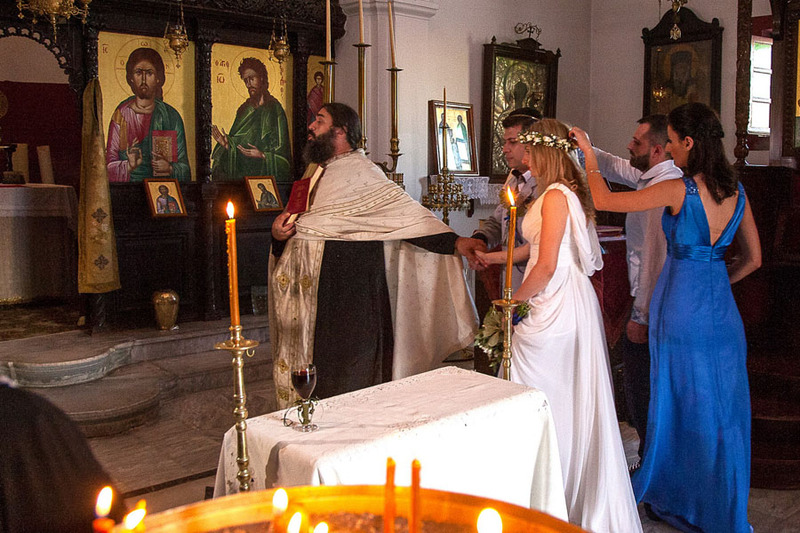 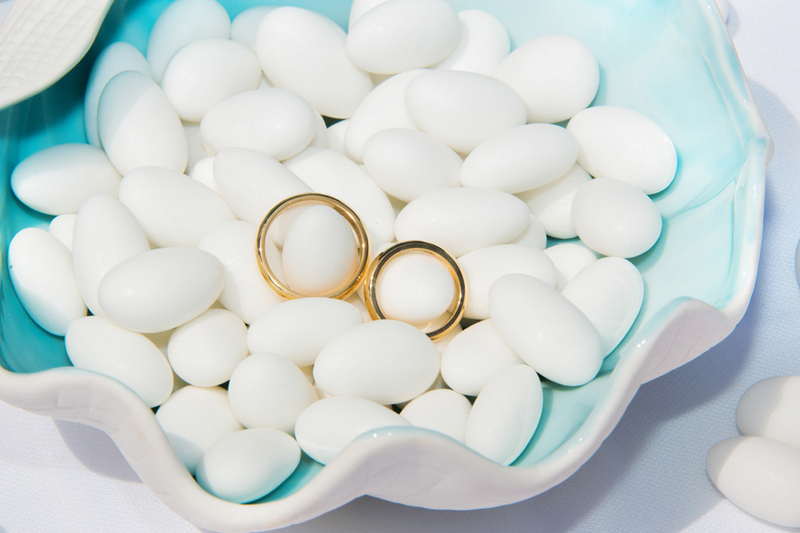 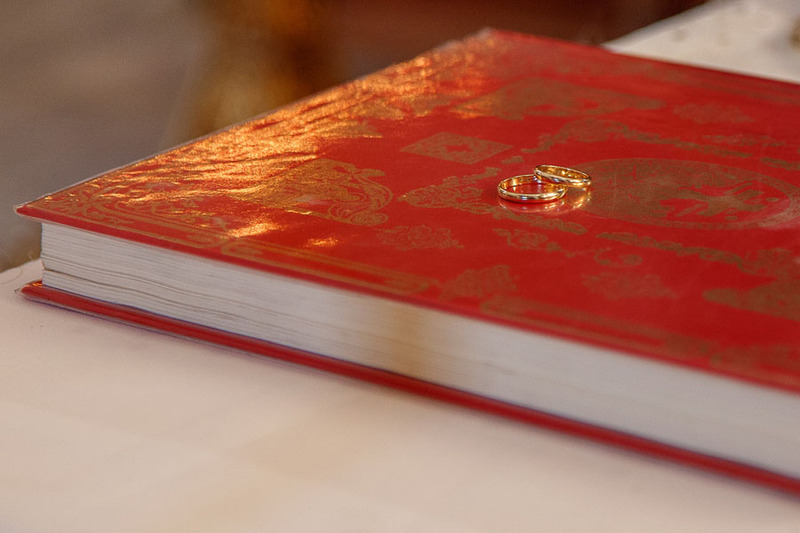 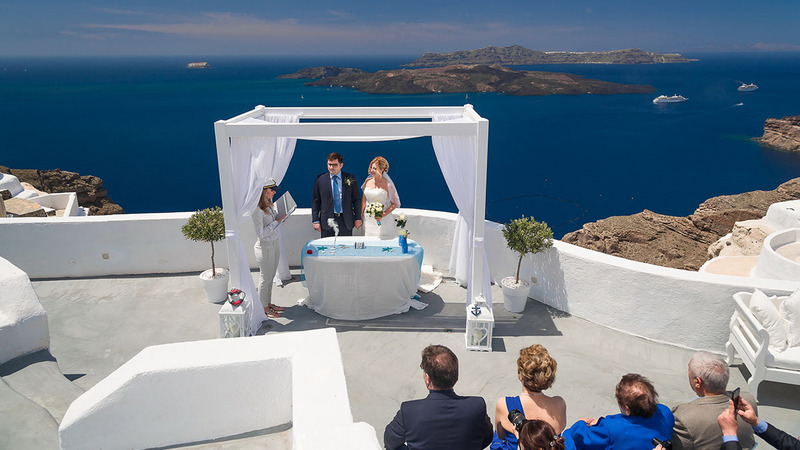 They say that the marriages conducted here are the strongest as they are protected by Saint Patrons of Greece. 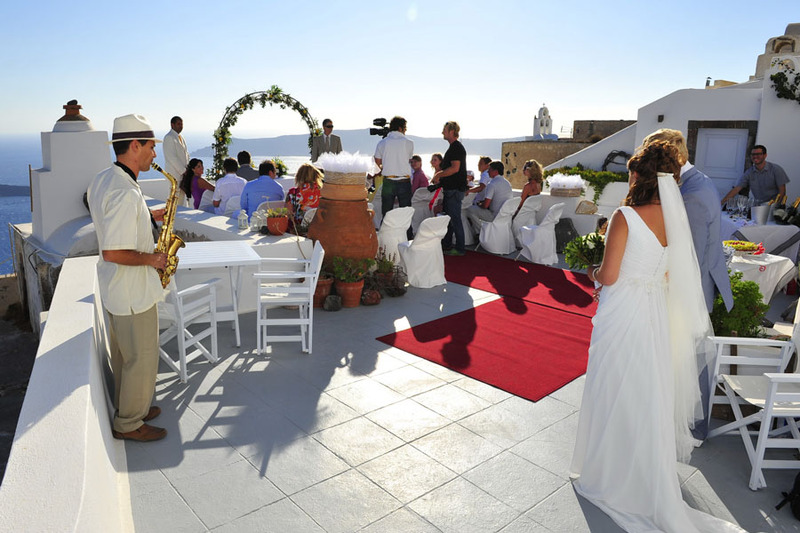 There are plenty of hotels and restaurants, the highlight of which is their superb location. 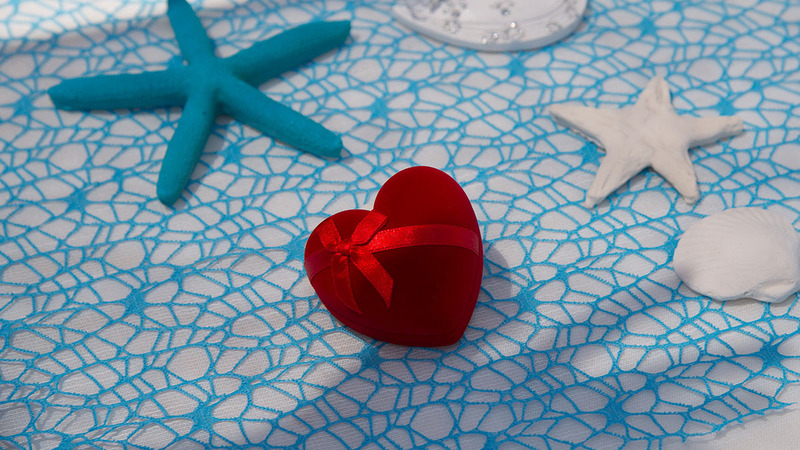 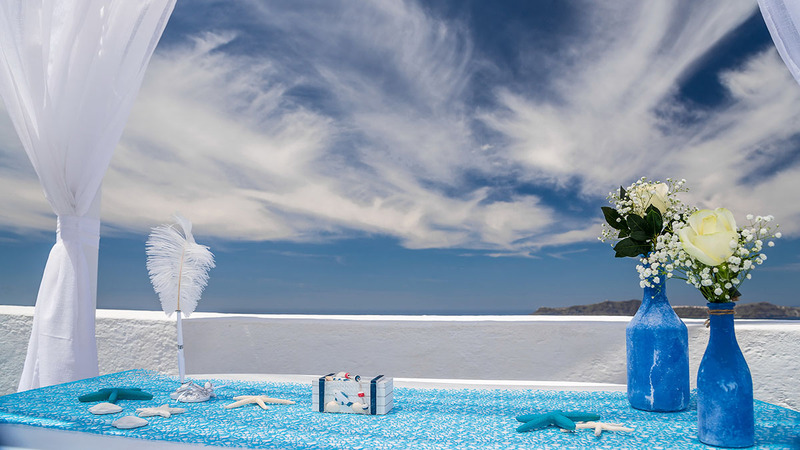 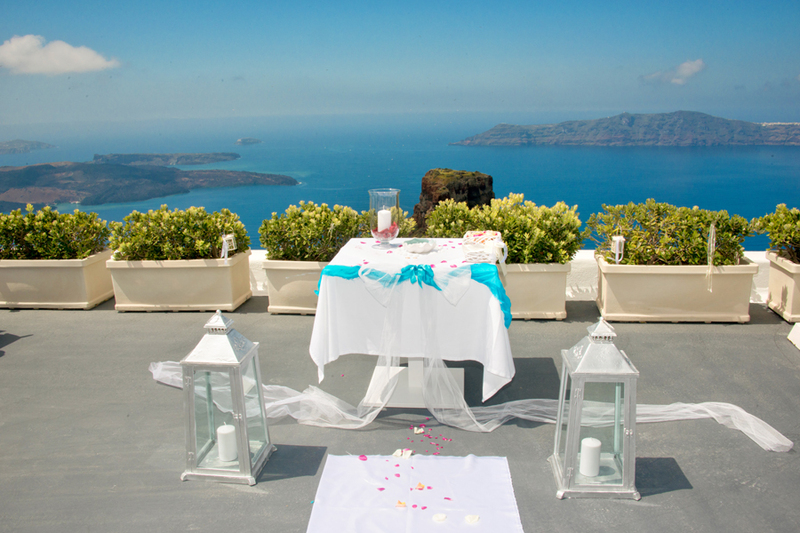 The romance-lovers can choose themselves accommodation by the sea or on the caldera. 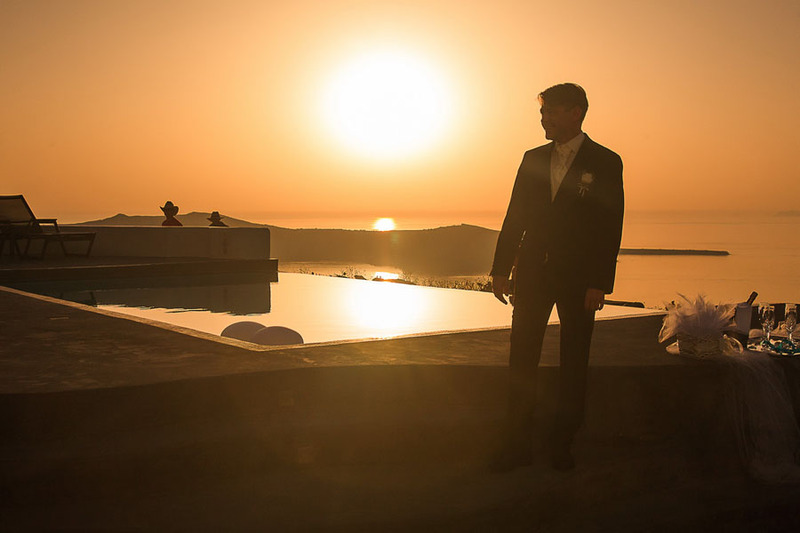 Every morning we will be awakened by the sea and enjoy fantastic sunsets at the end of the day. 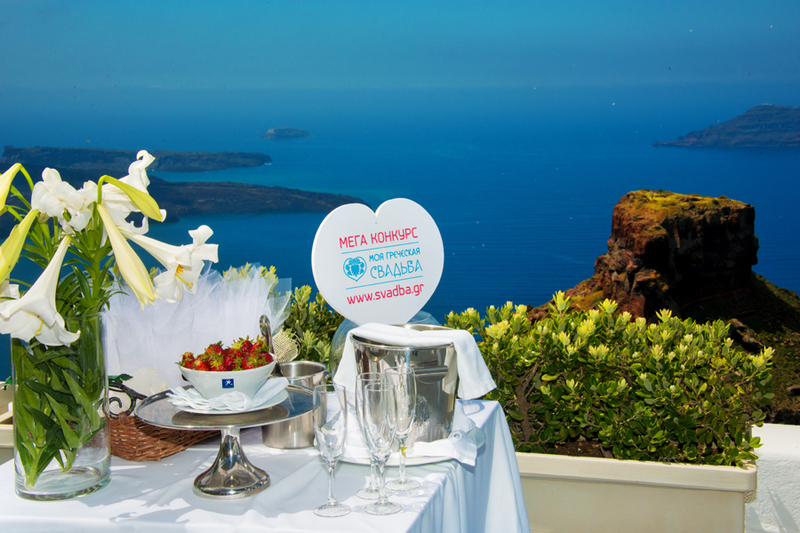 For the daring one there is a special offer with accommodation in a hotel located on caldera cliffs with a splendid view to the volcano. 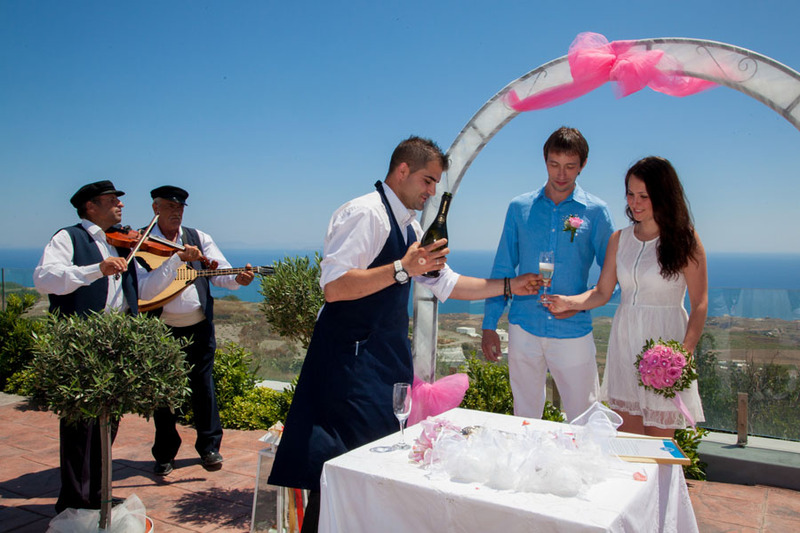 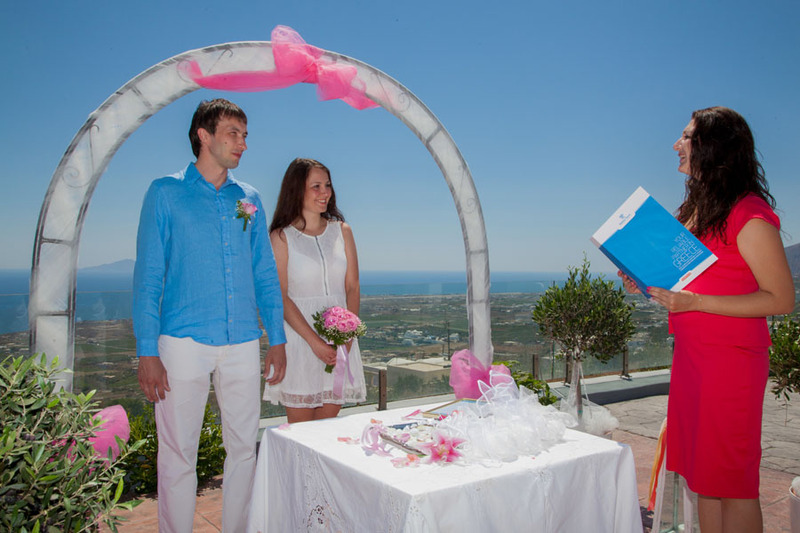 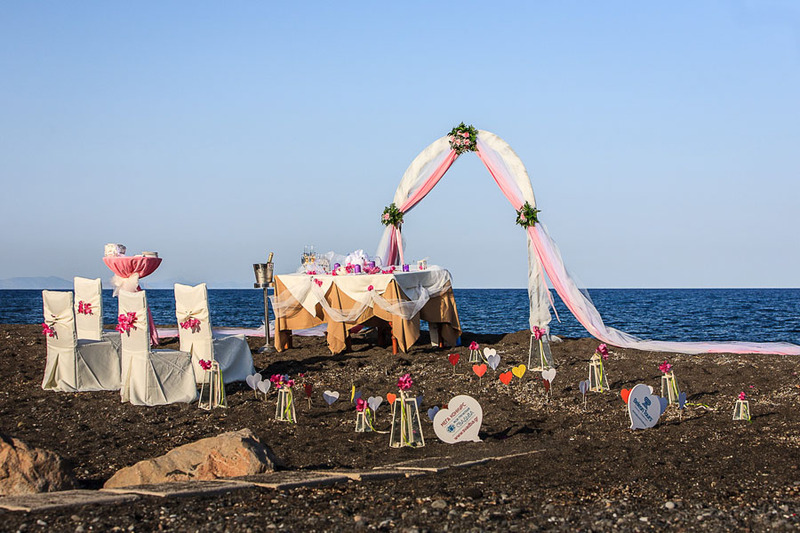 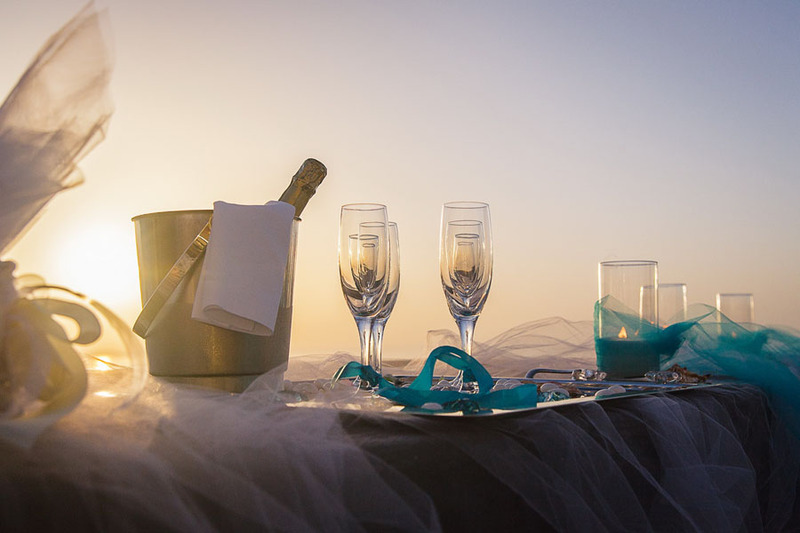 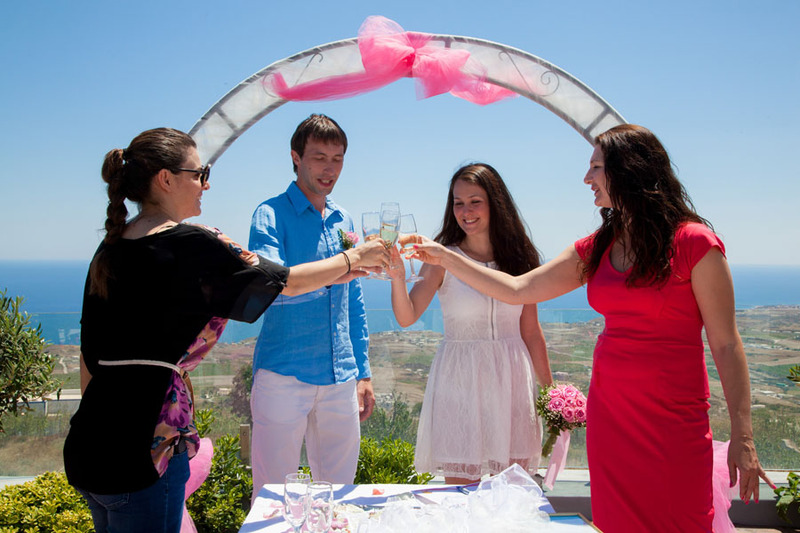 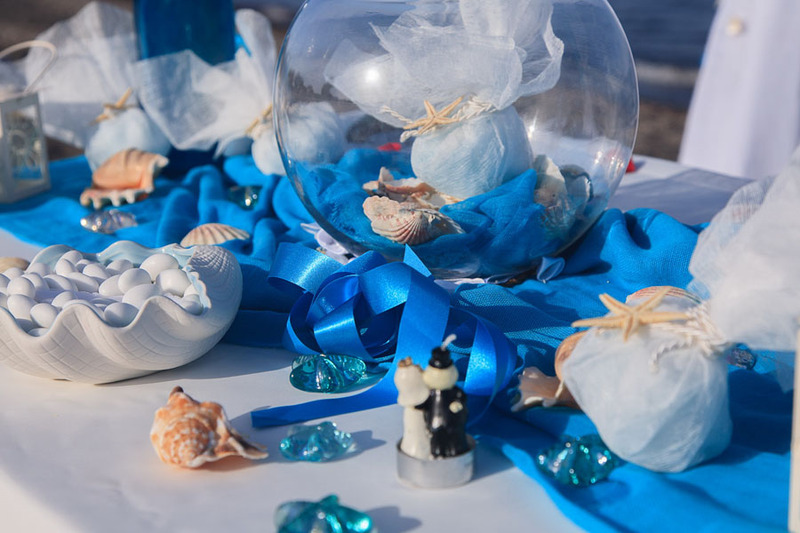 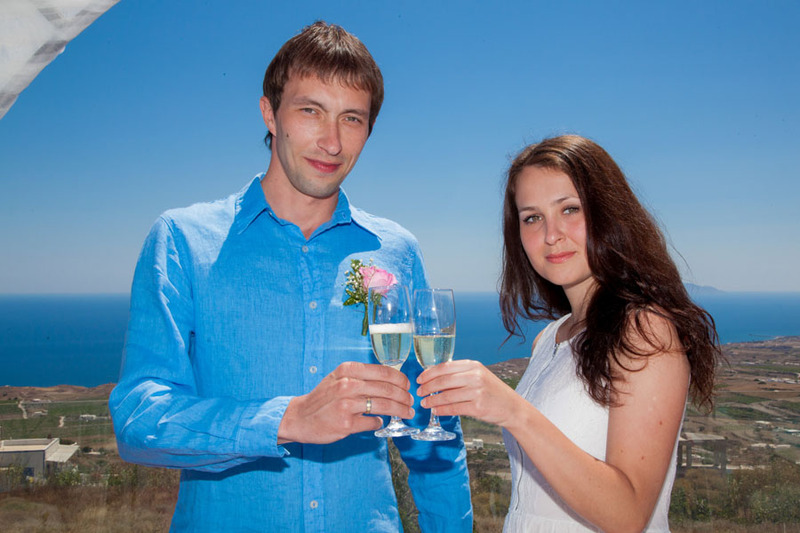 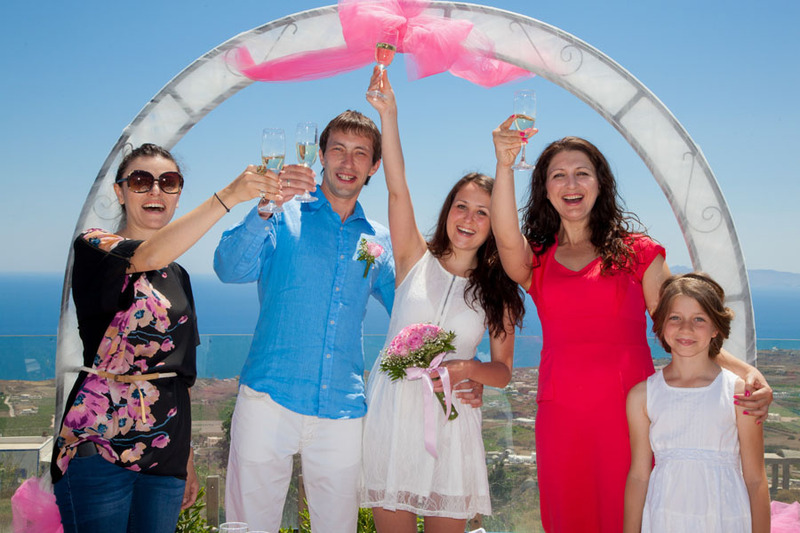 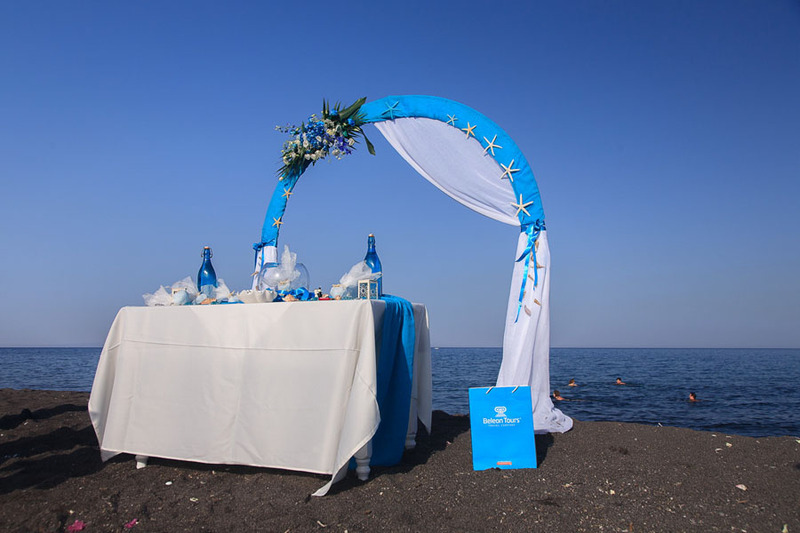 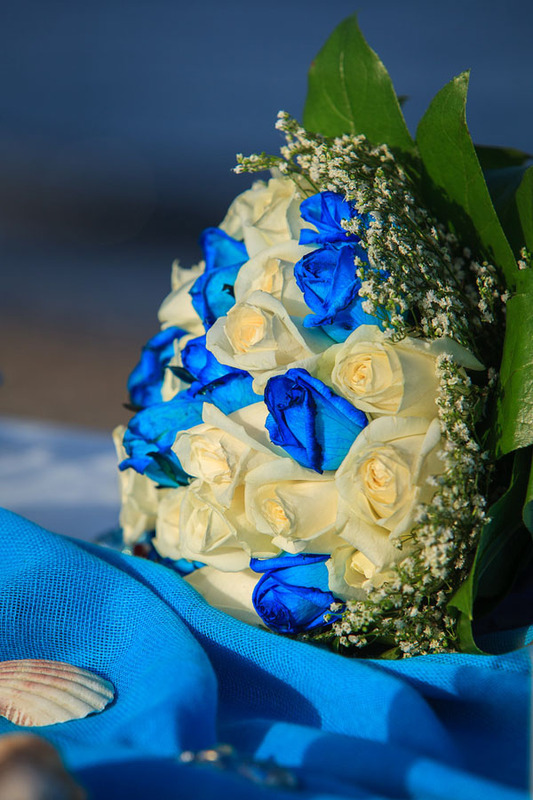 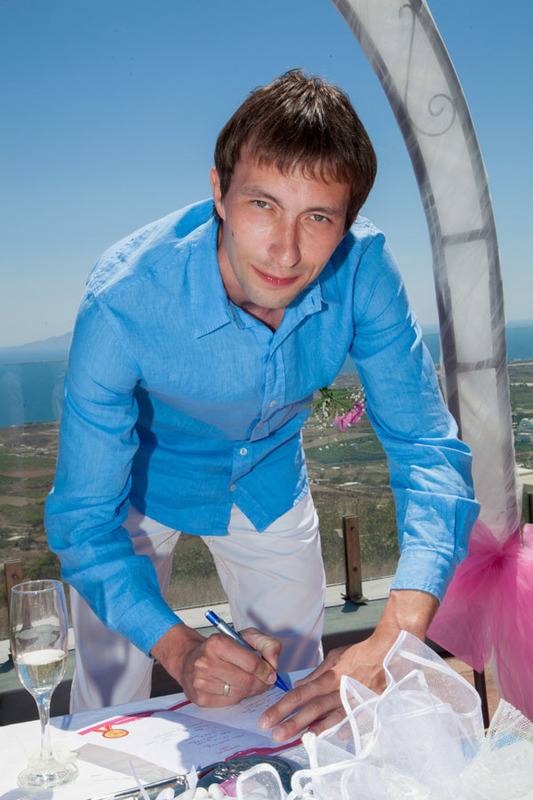 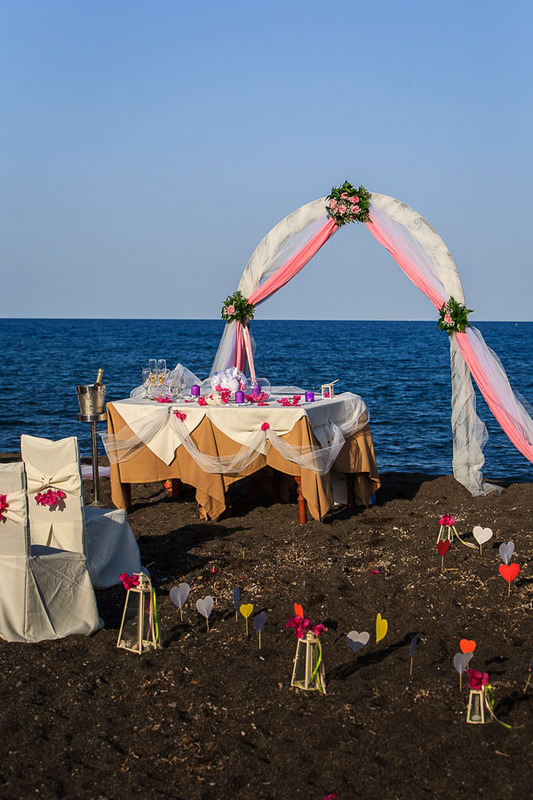 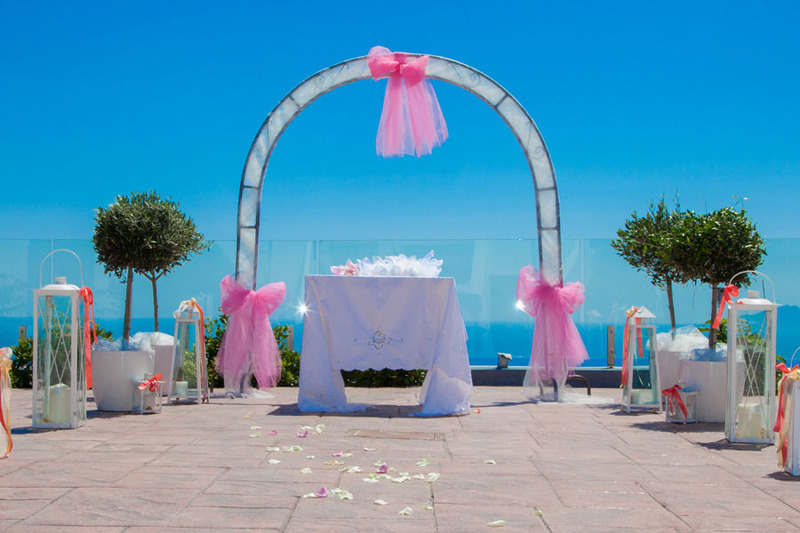 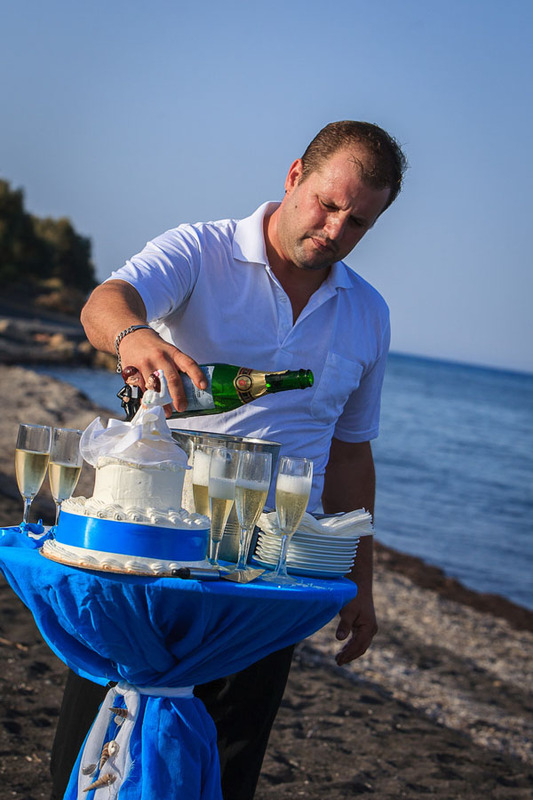 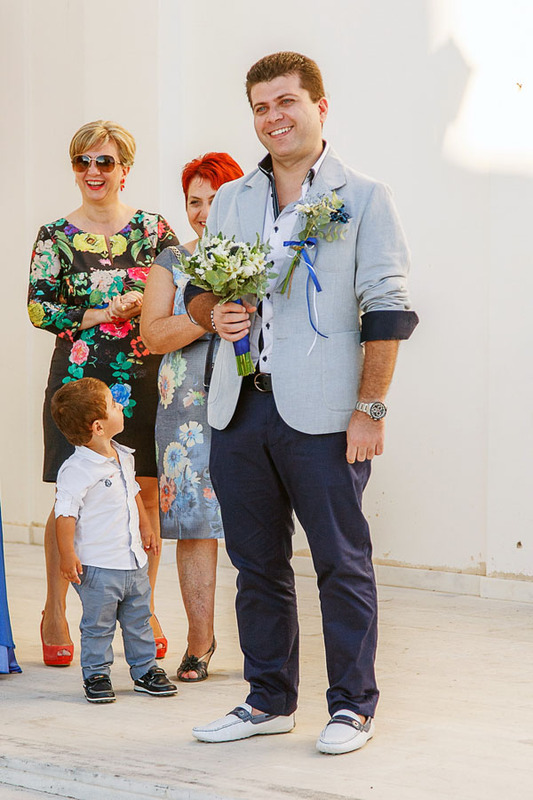 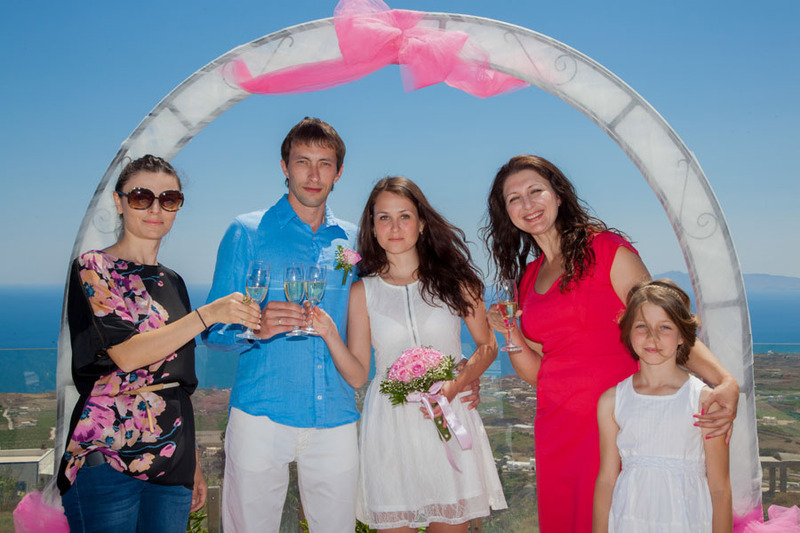 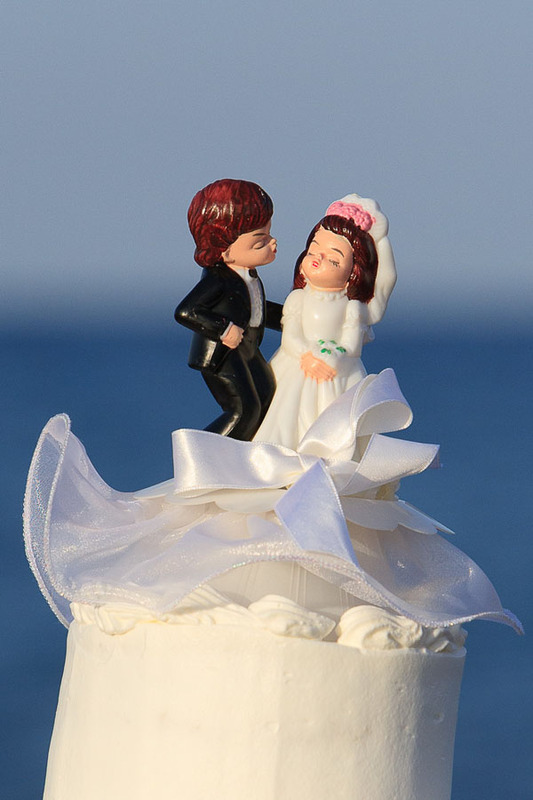 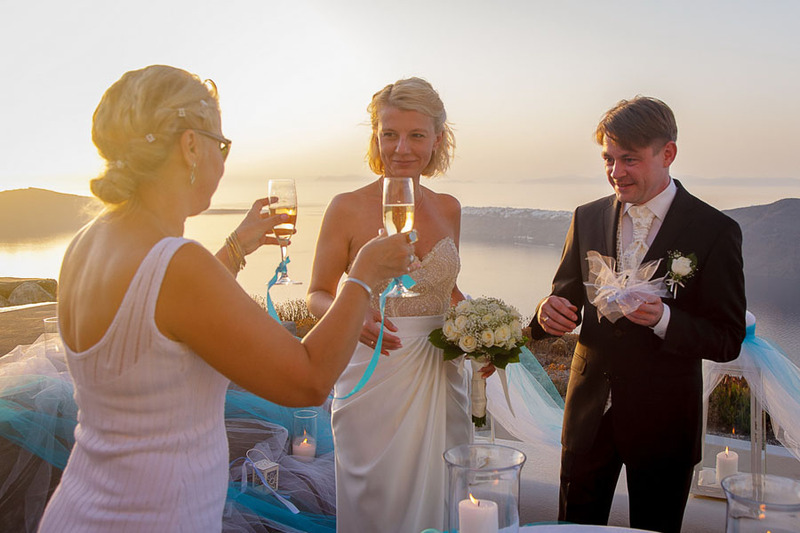 According to the wishes of the couple the wedding ceremony can be conducted in one of the beaches or on one of the luxurious terraces in the open air. 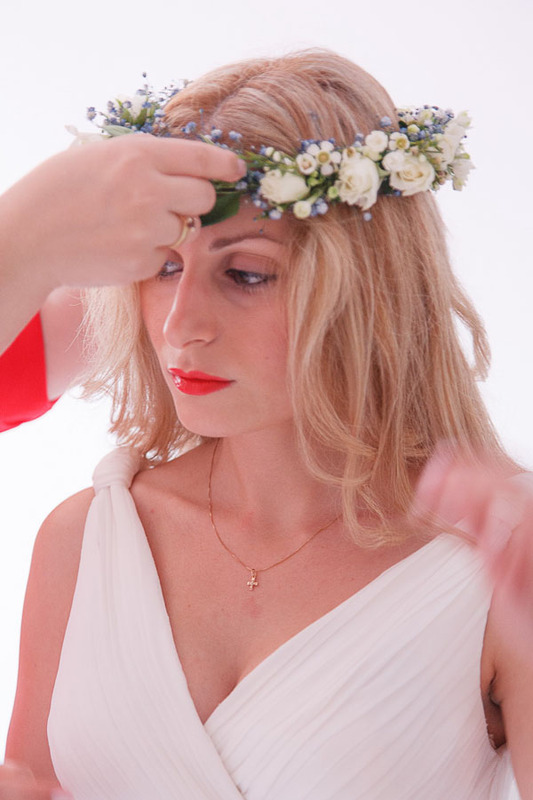 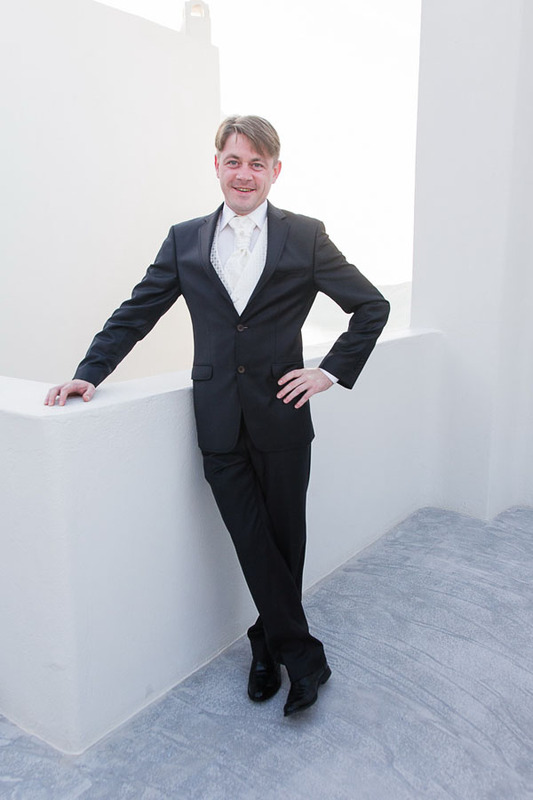 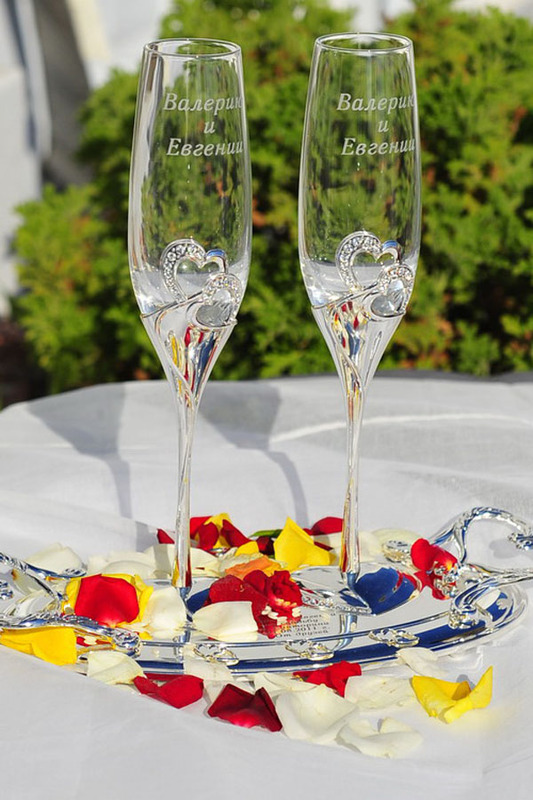 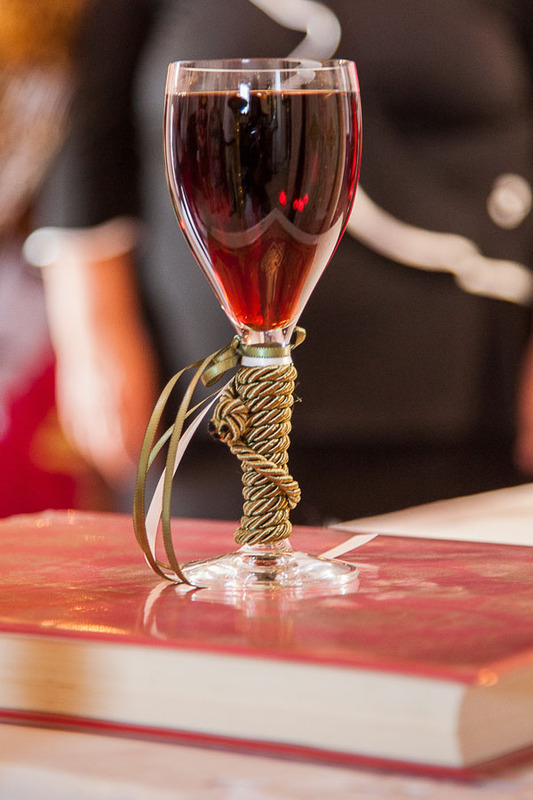 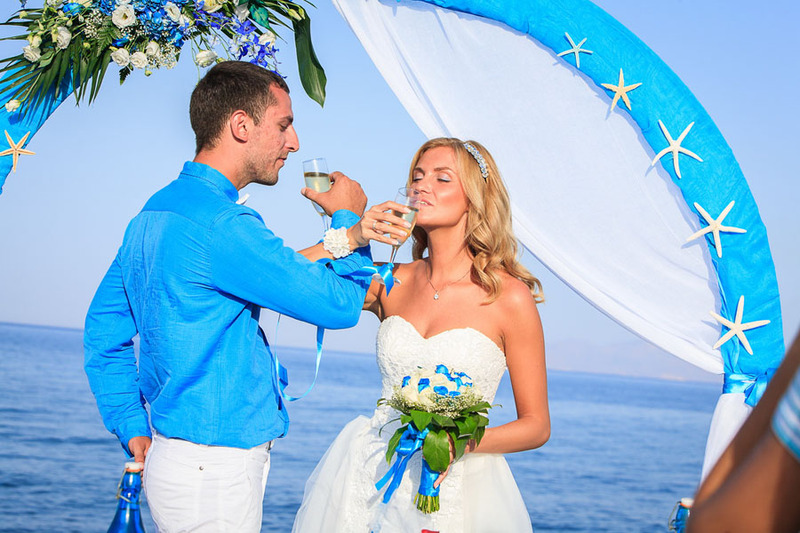 The highlights of such a ceremony will be fabulous views captured on the wedding photos and unique atmosphere of love and fun. 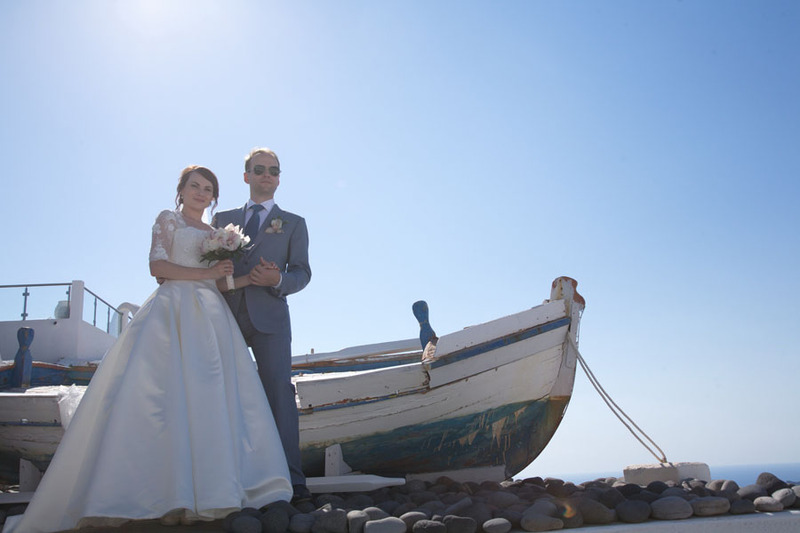 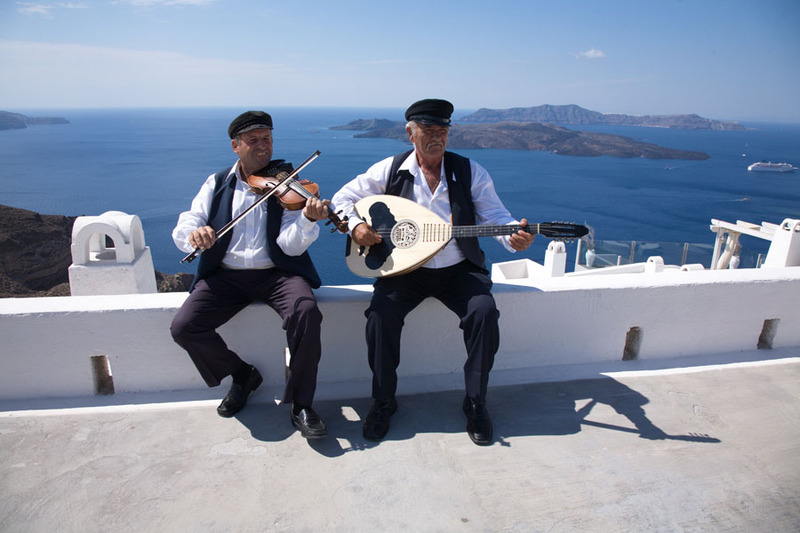 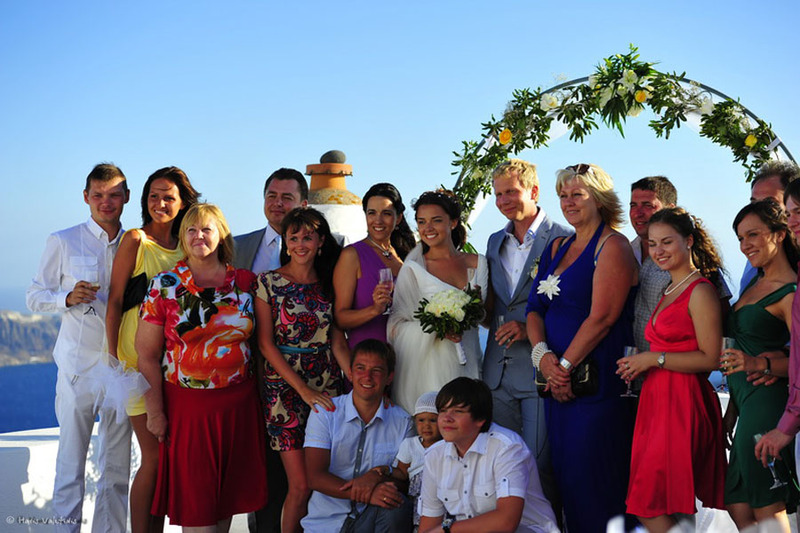 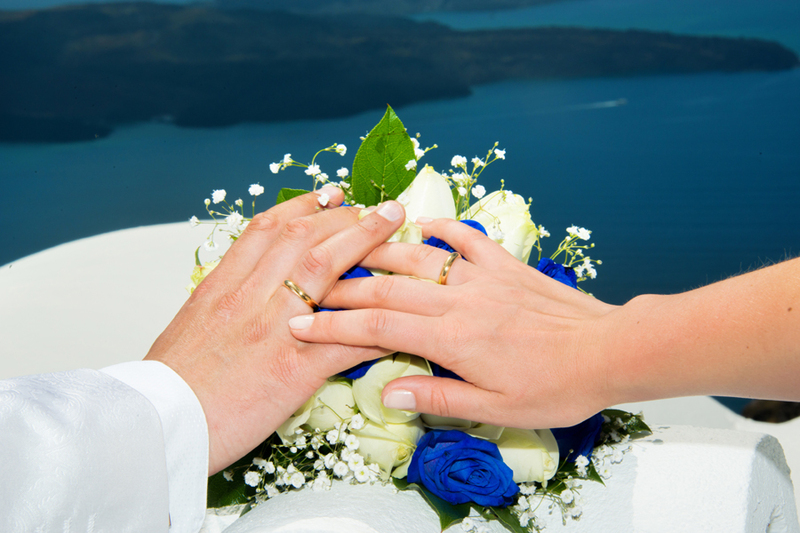 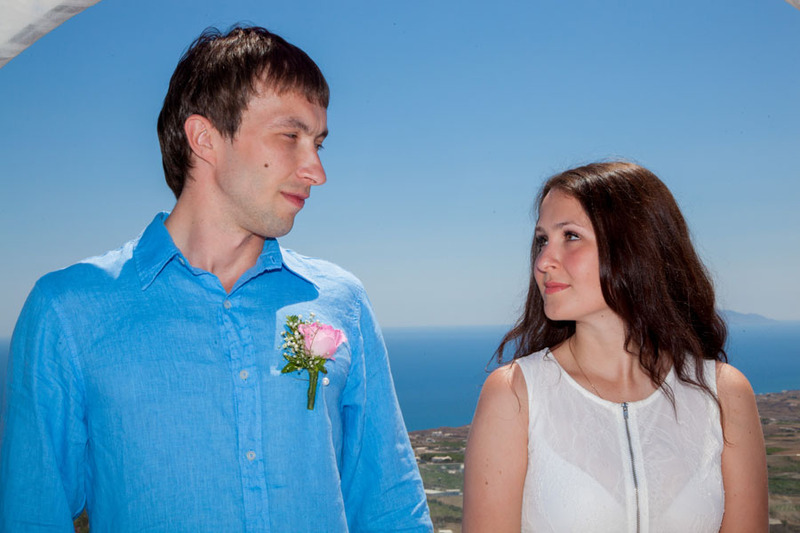 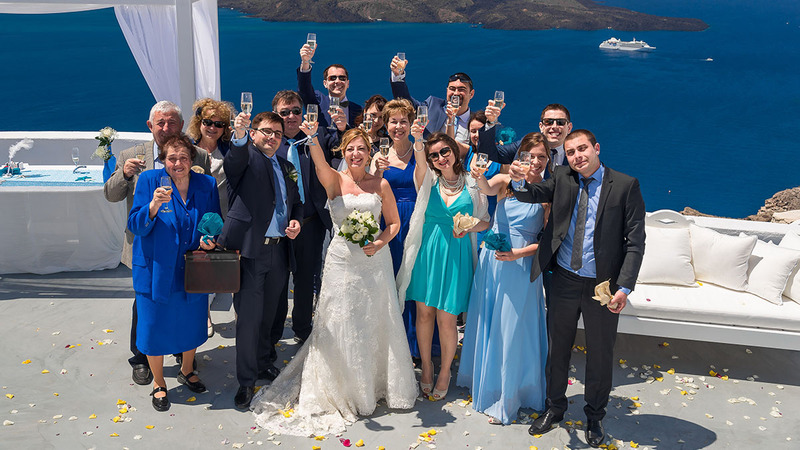 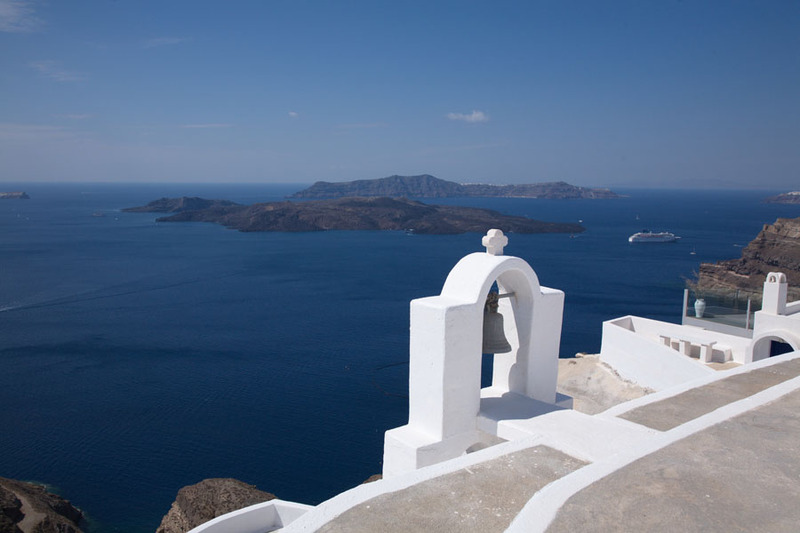 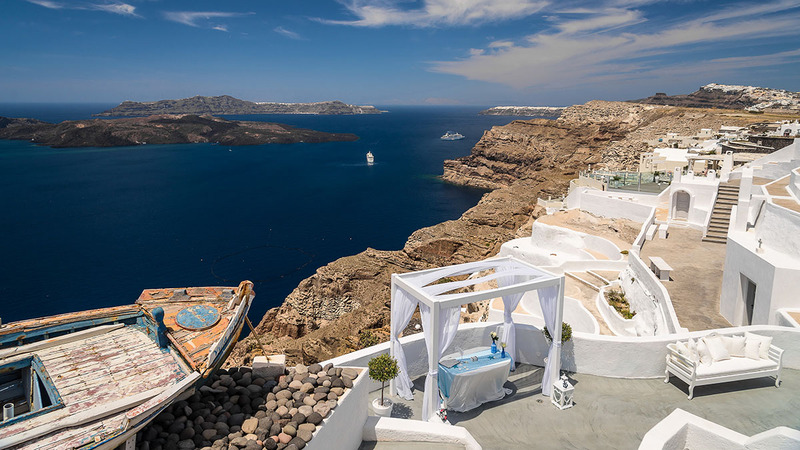 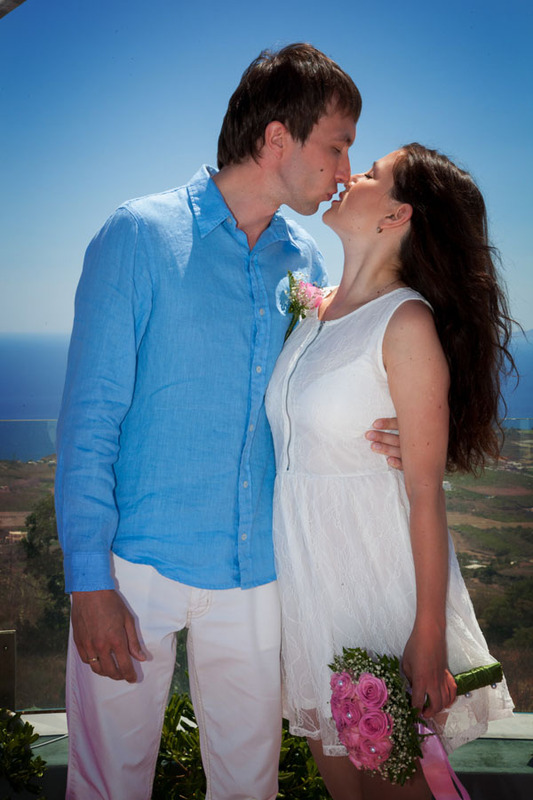 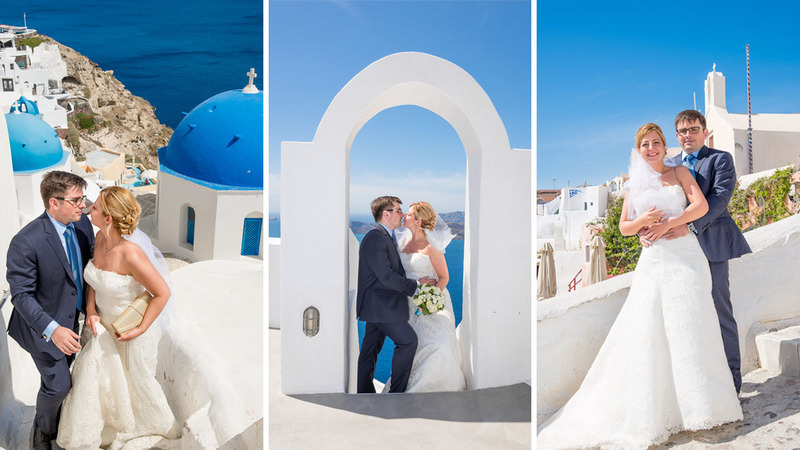 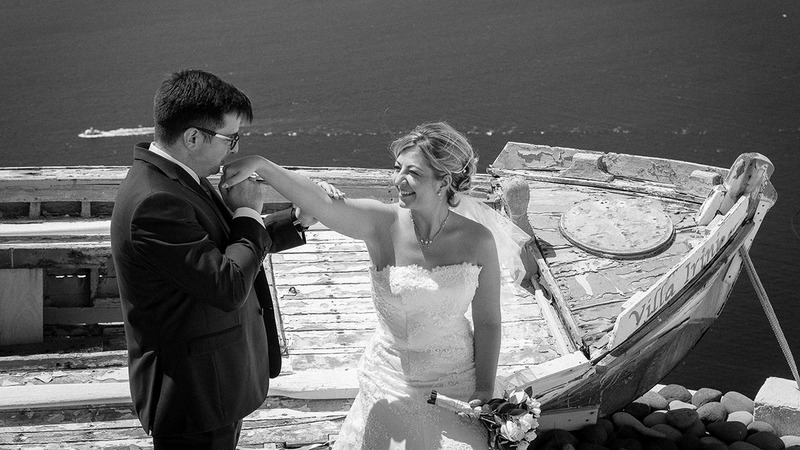 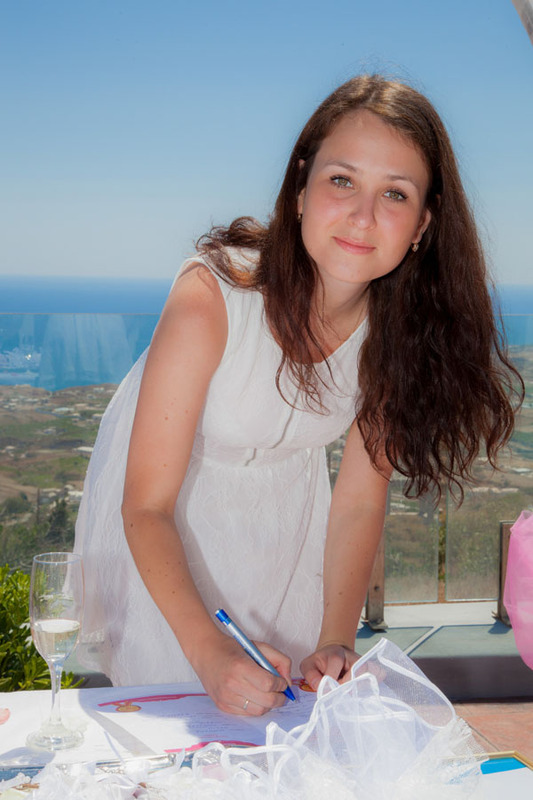 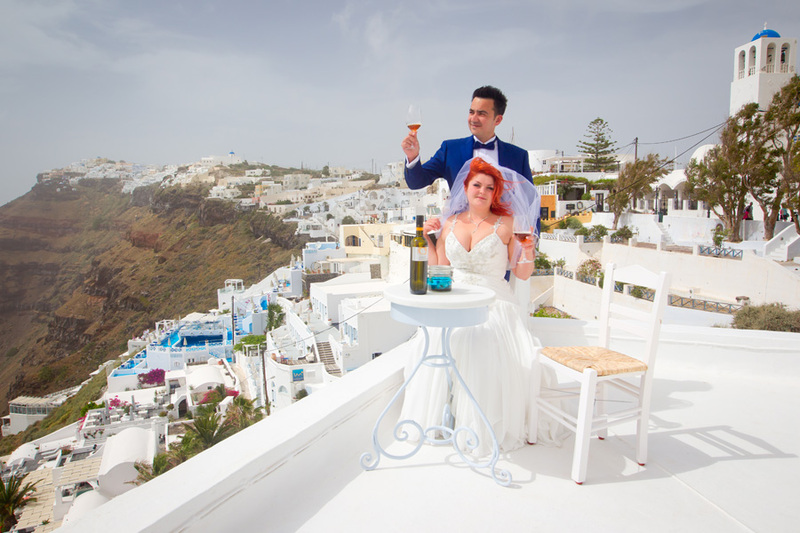 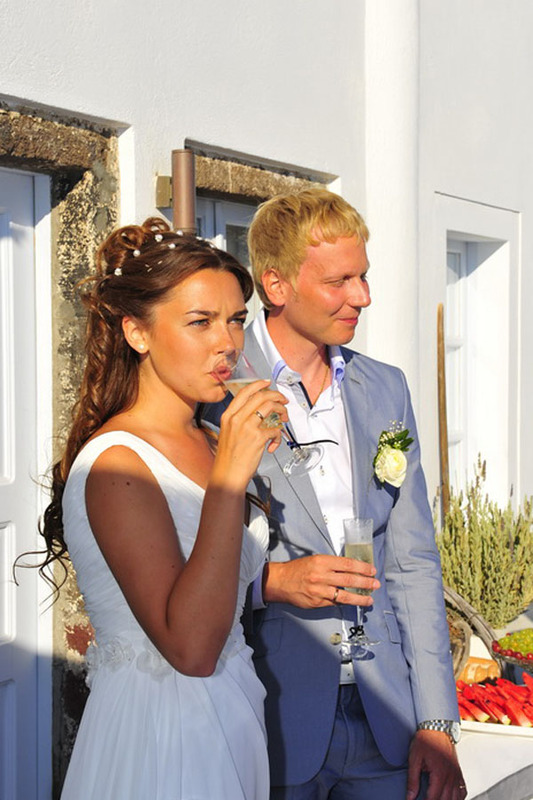 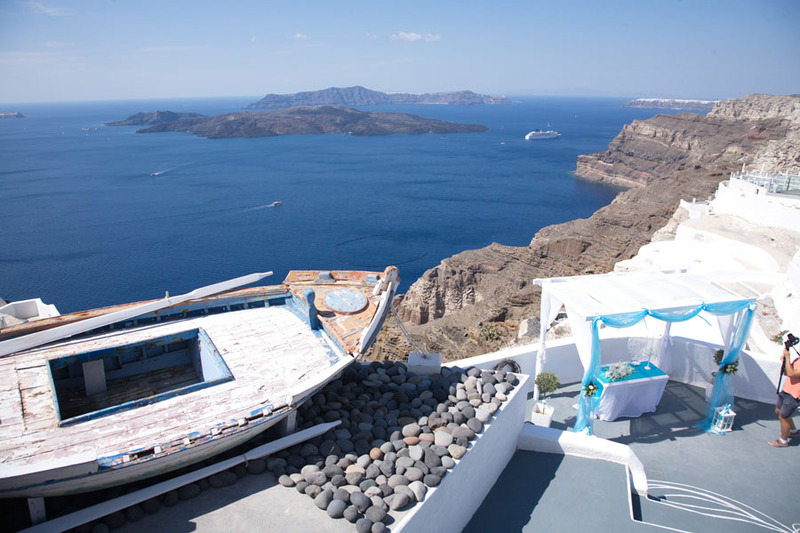 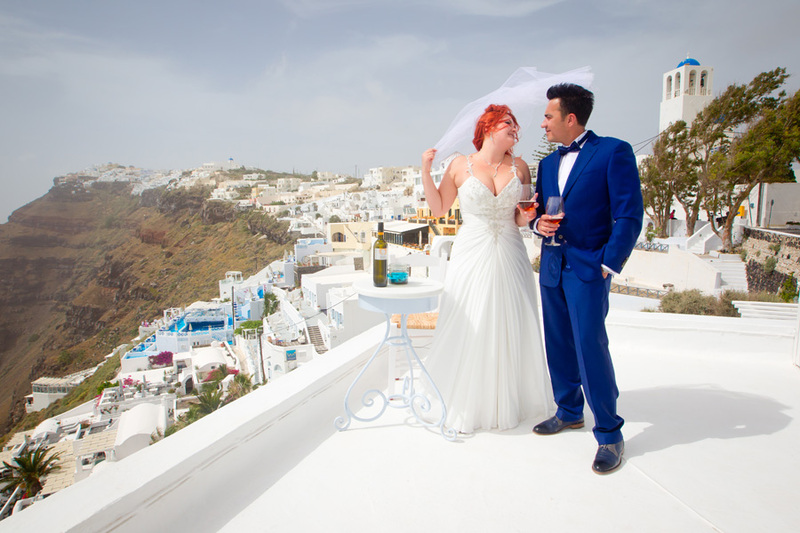 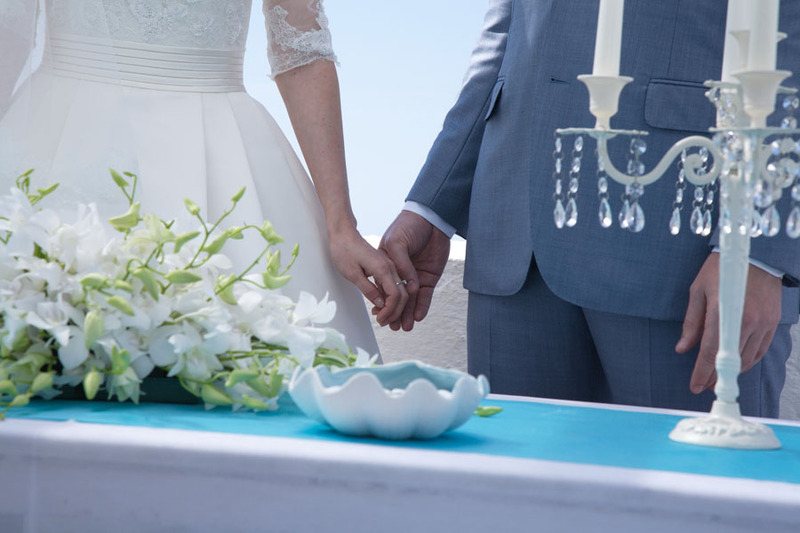 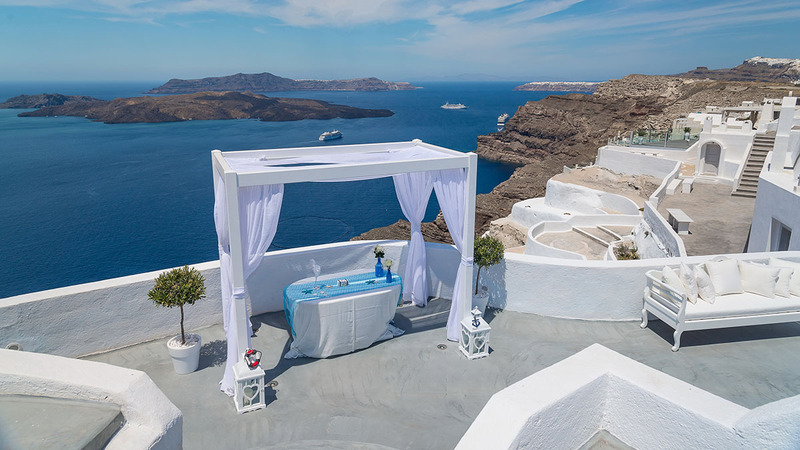 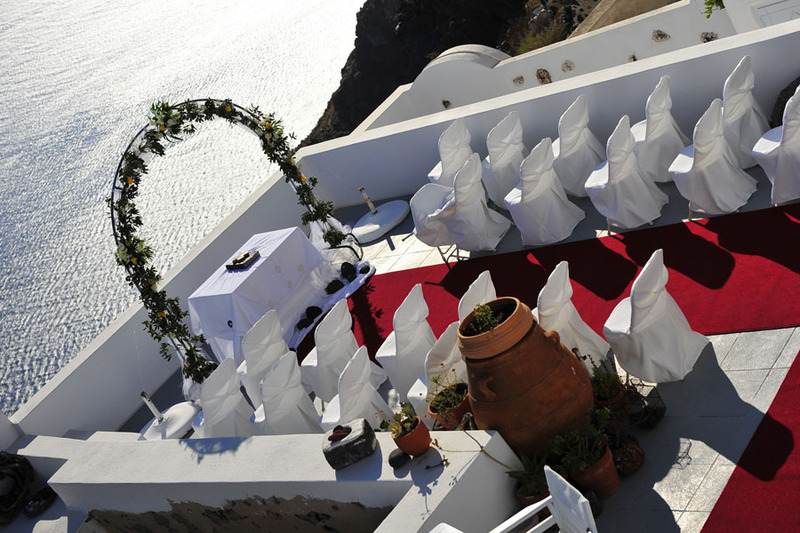 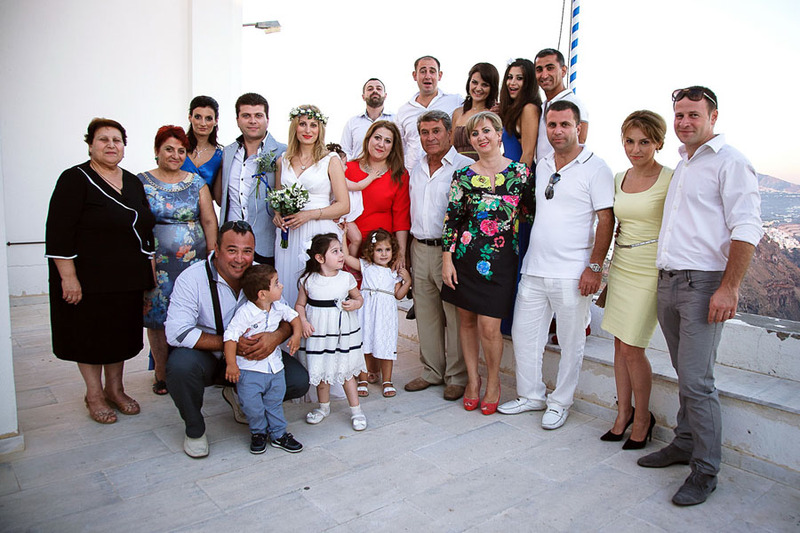 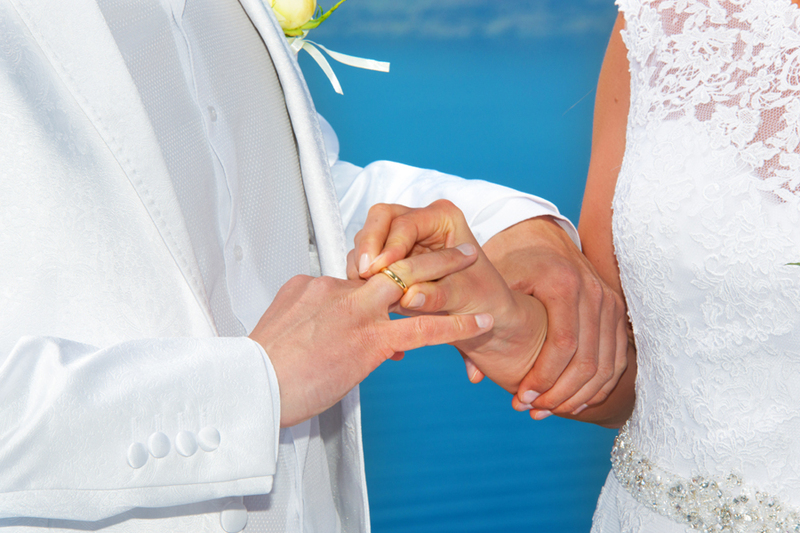 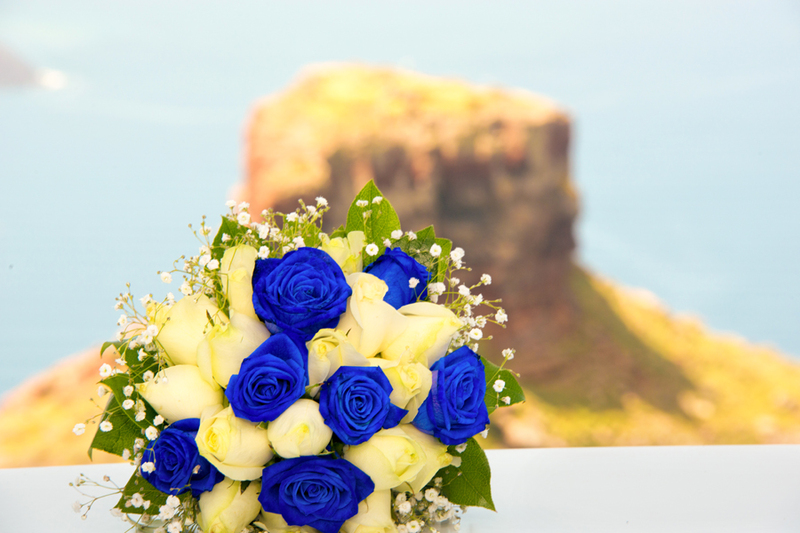 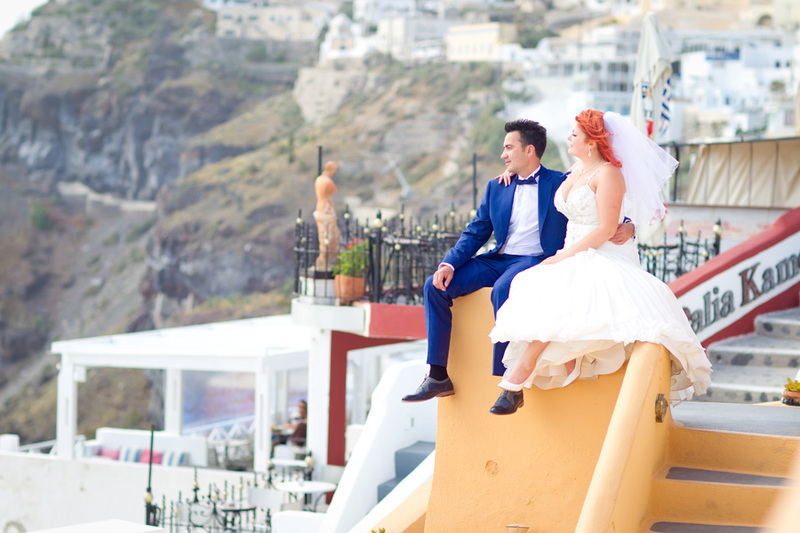 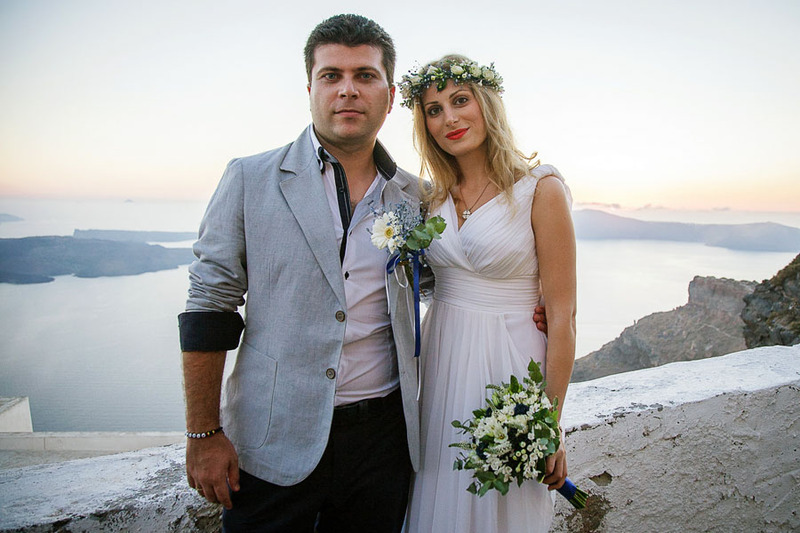 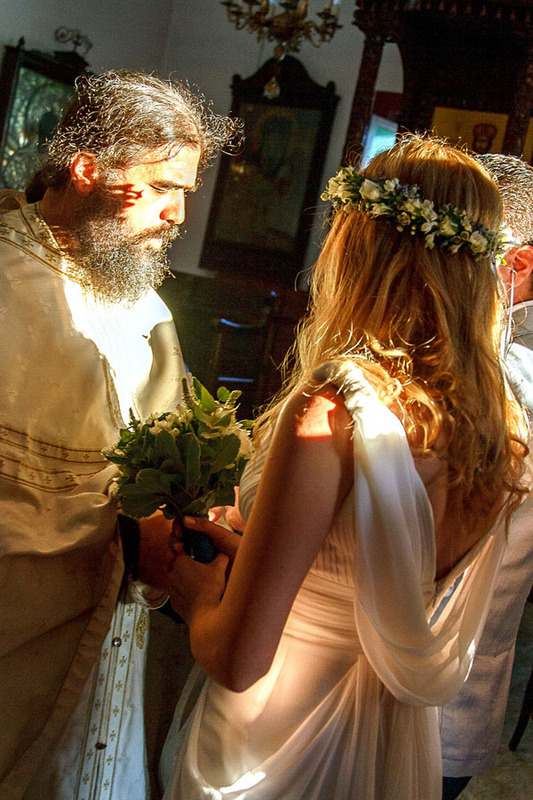 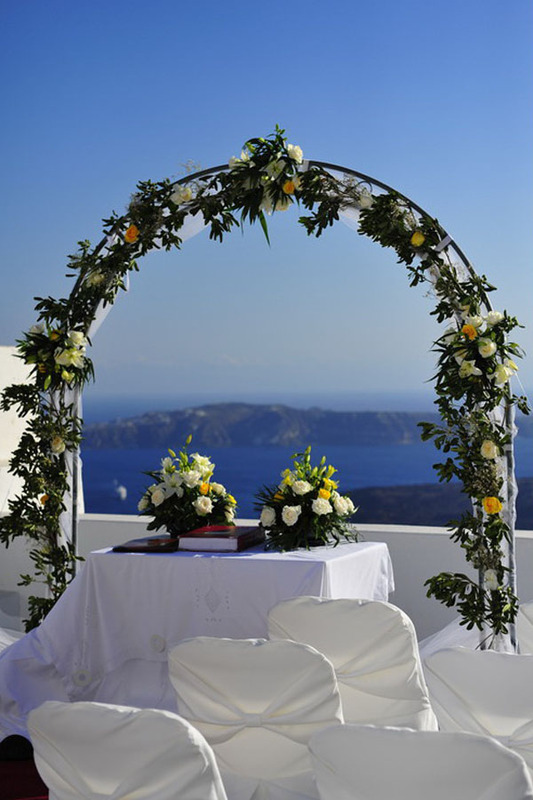 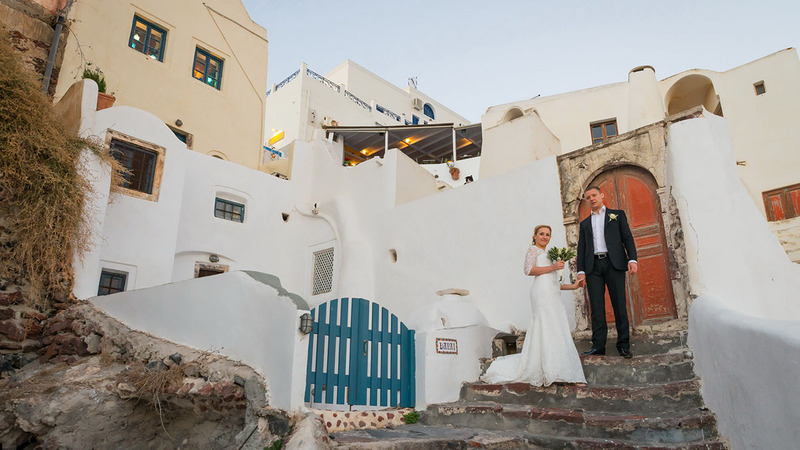 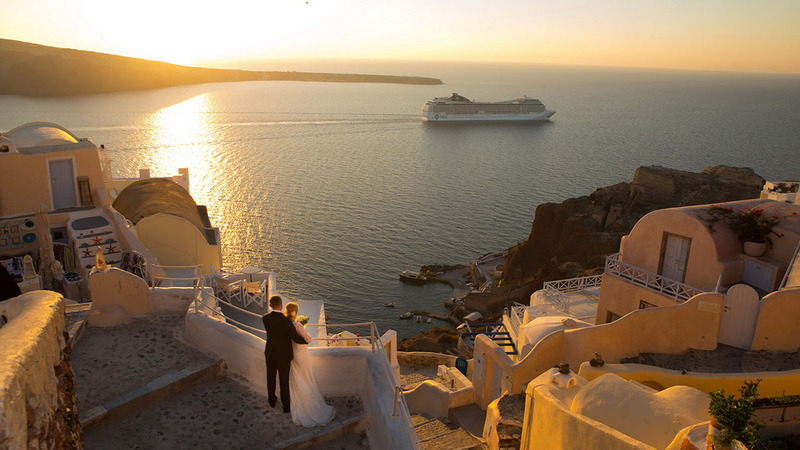 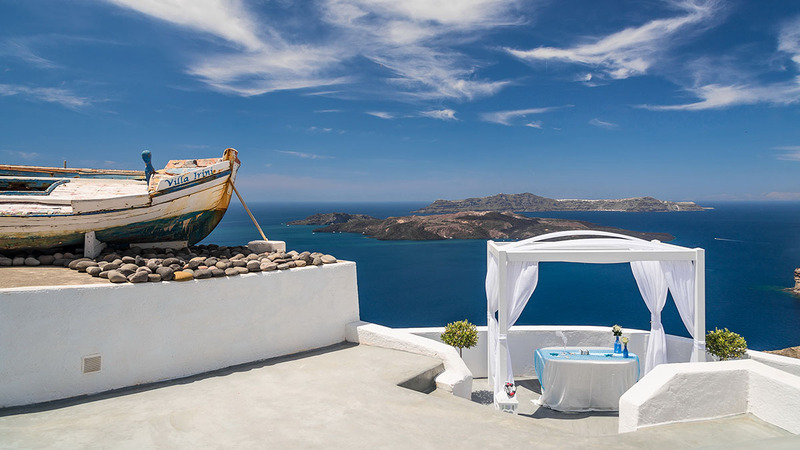 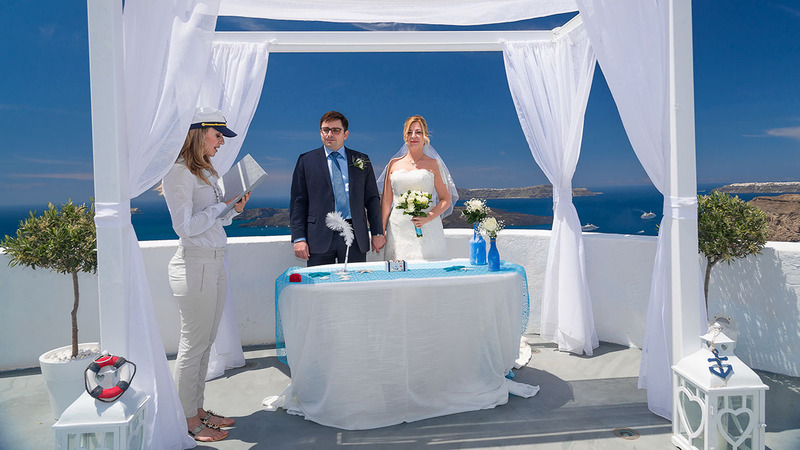 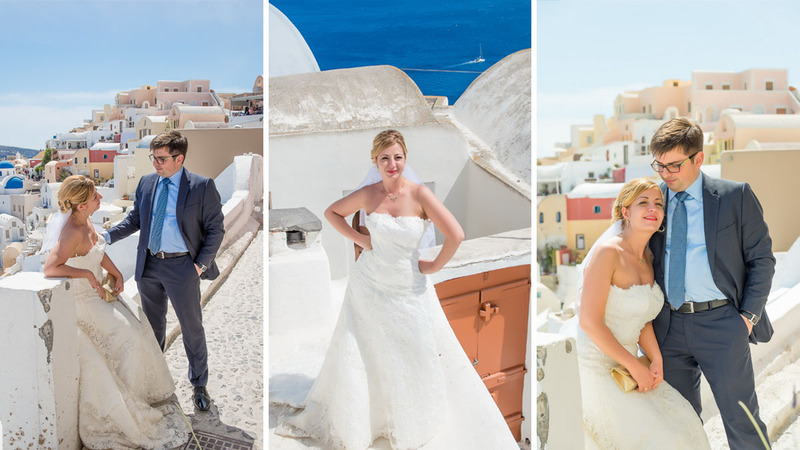 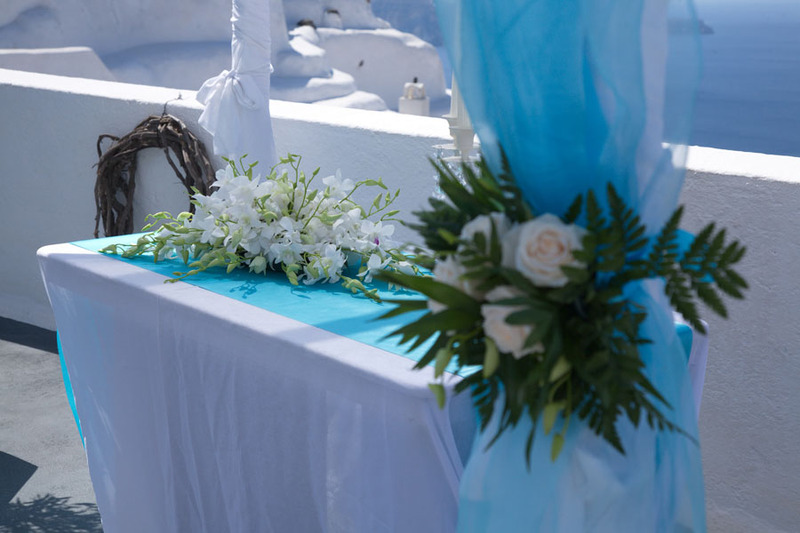 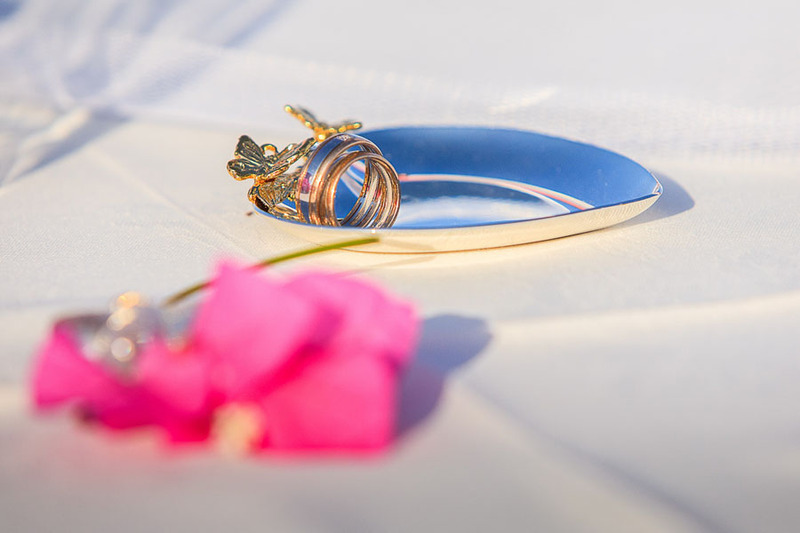 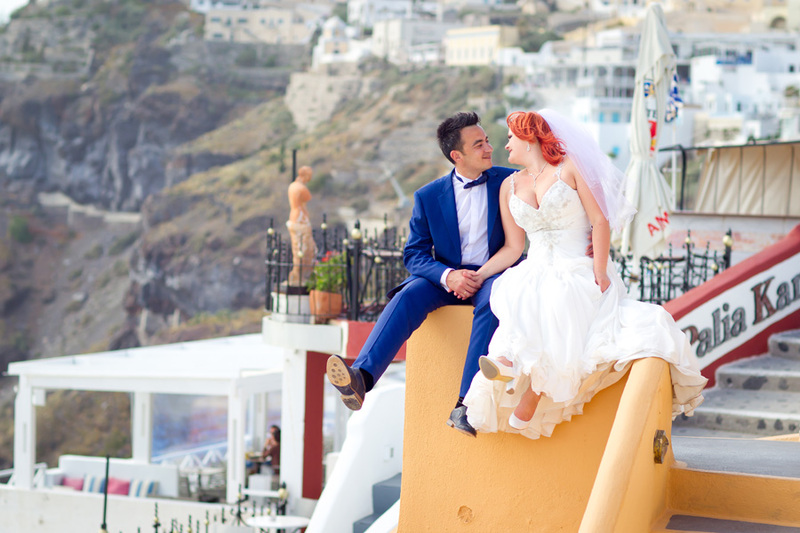 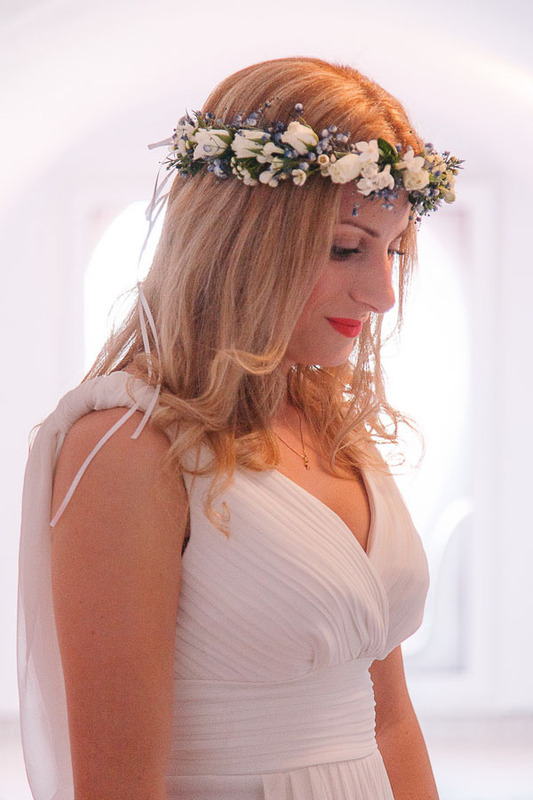 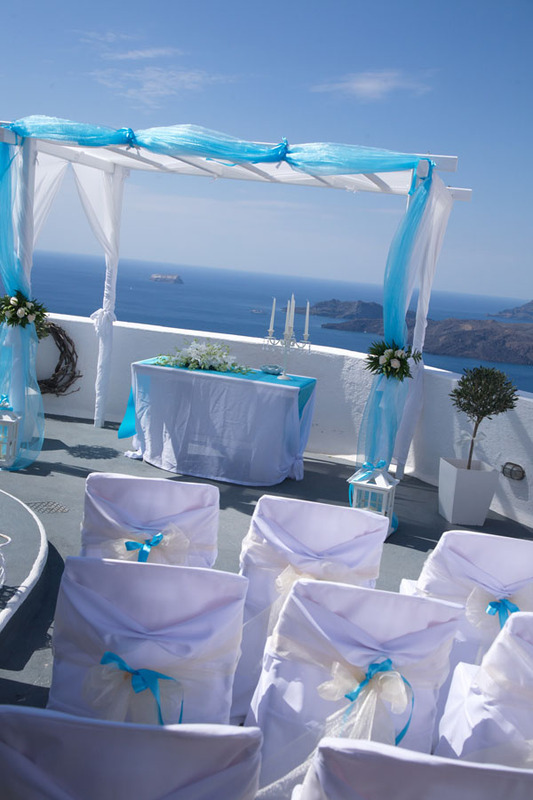 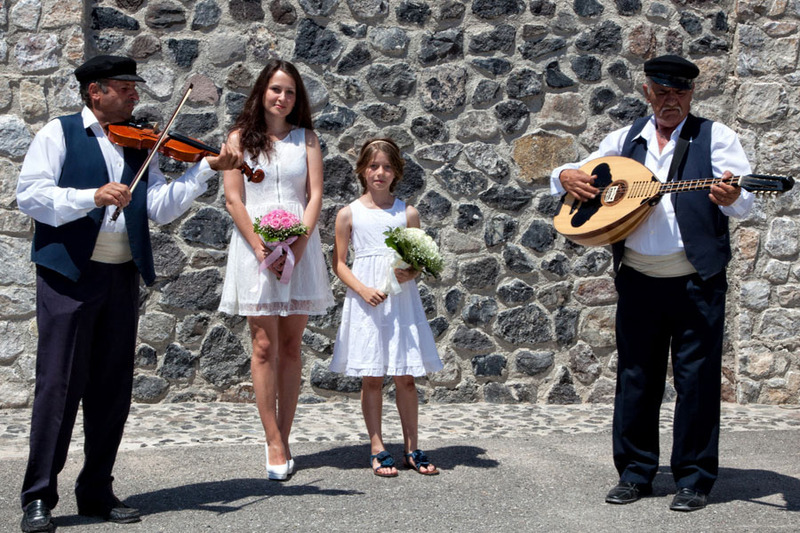 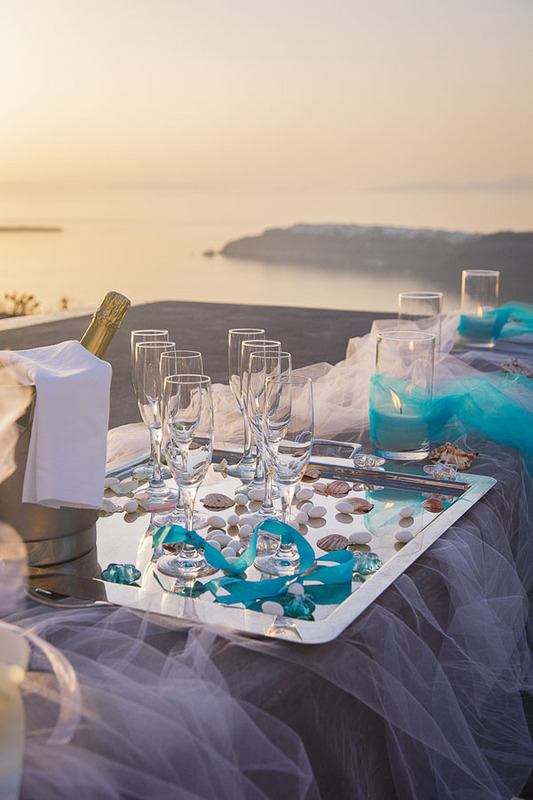 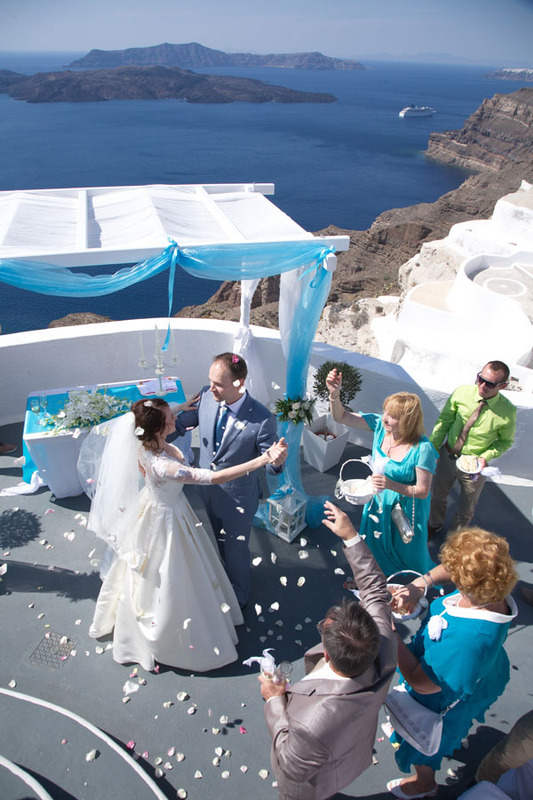 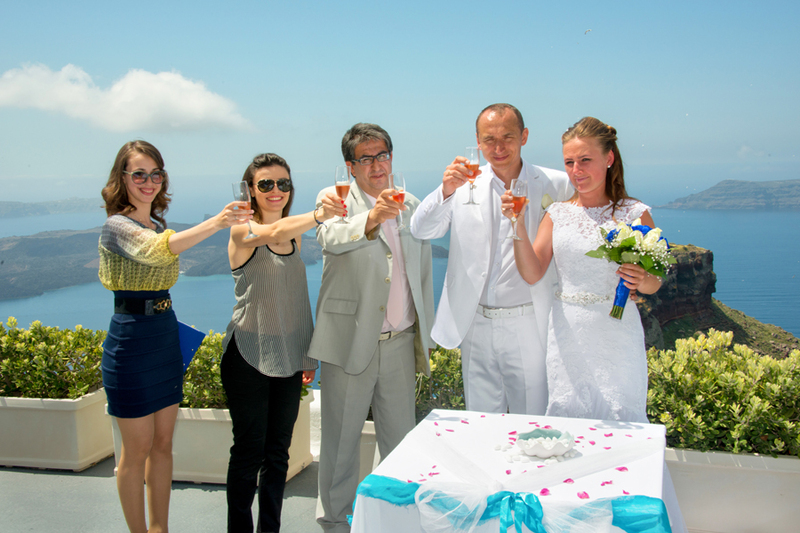 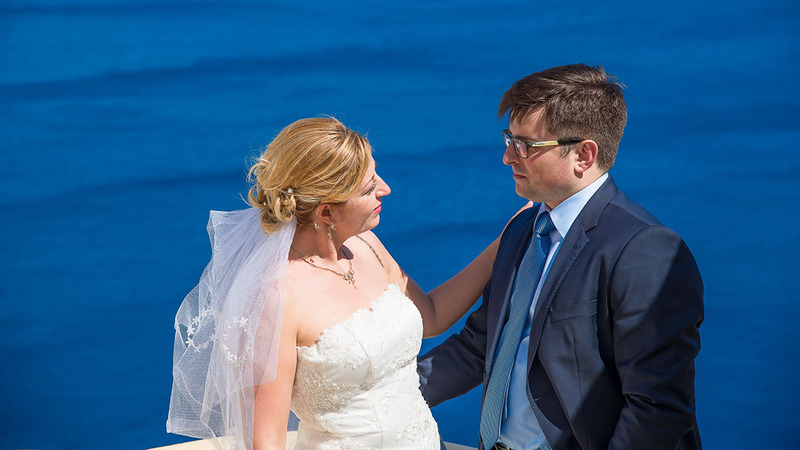 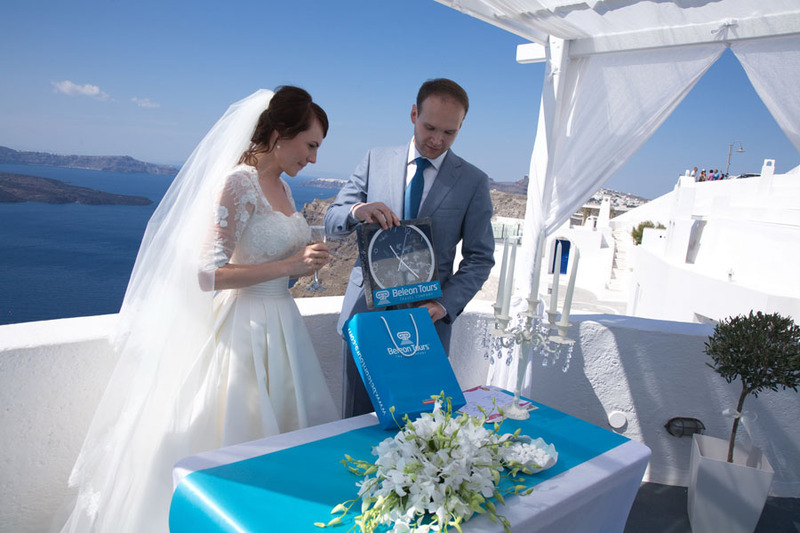 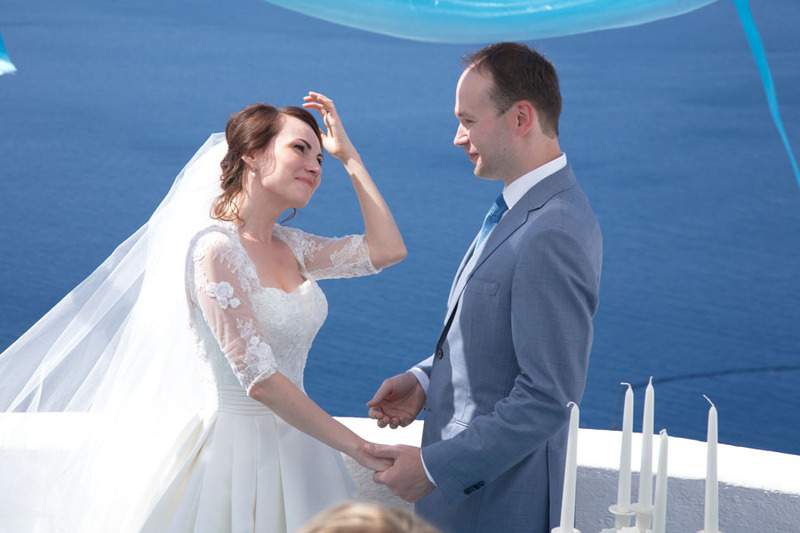 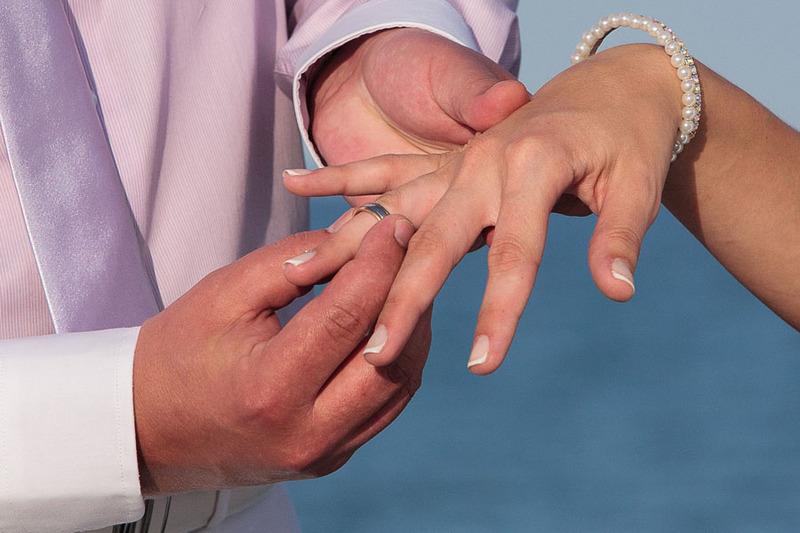 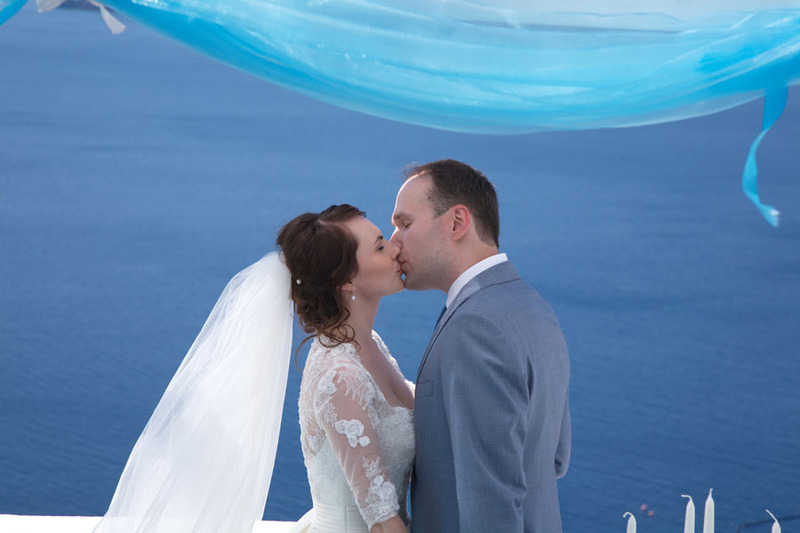 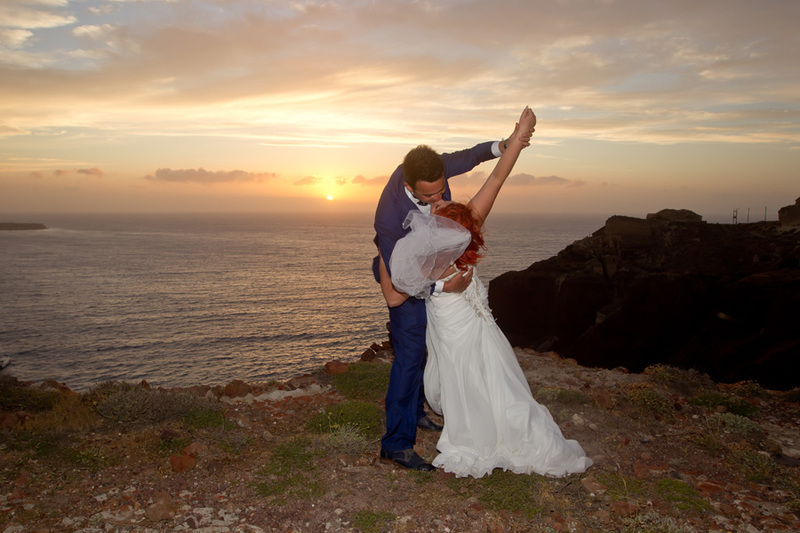 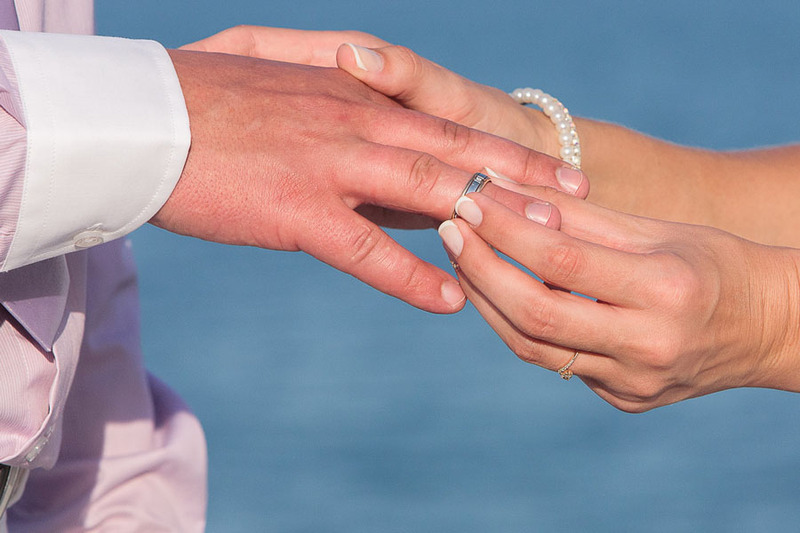 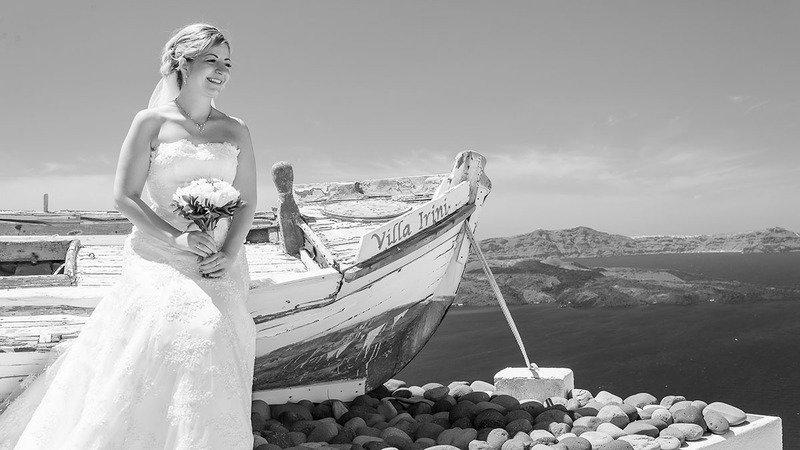 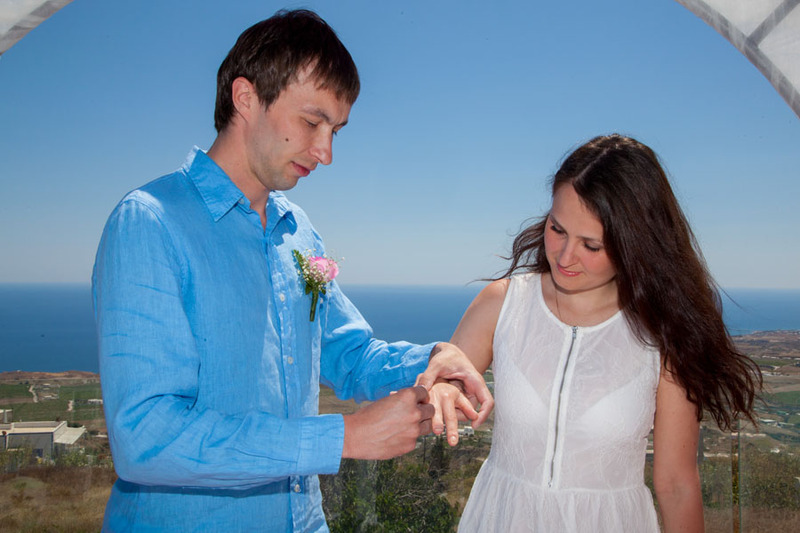 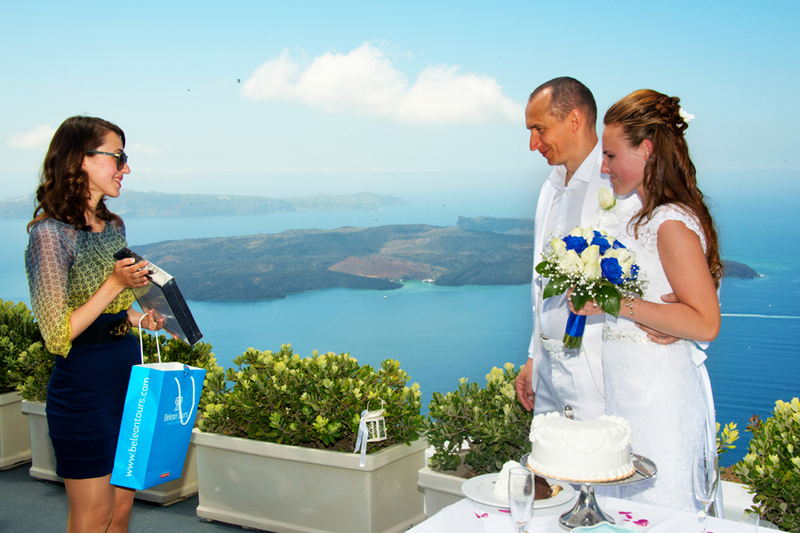 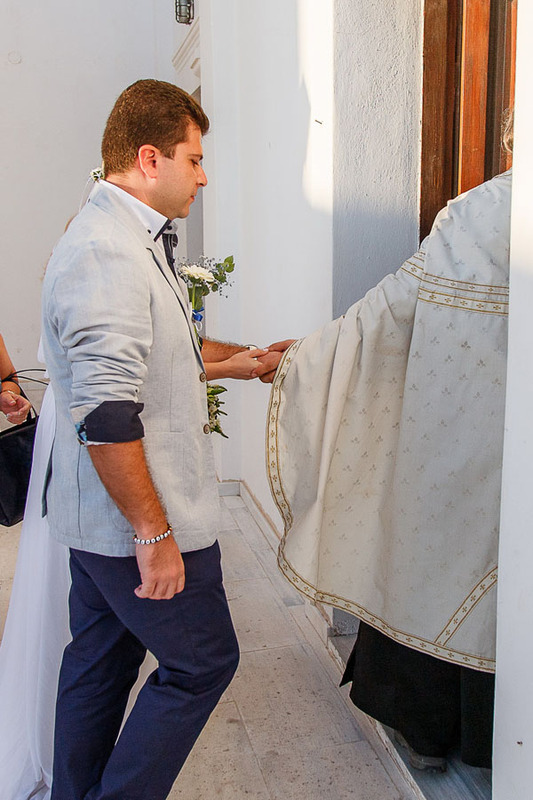 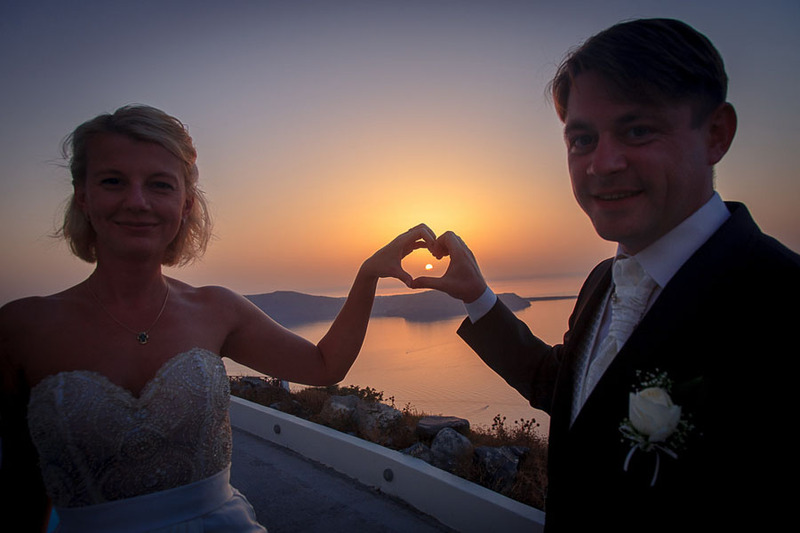 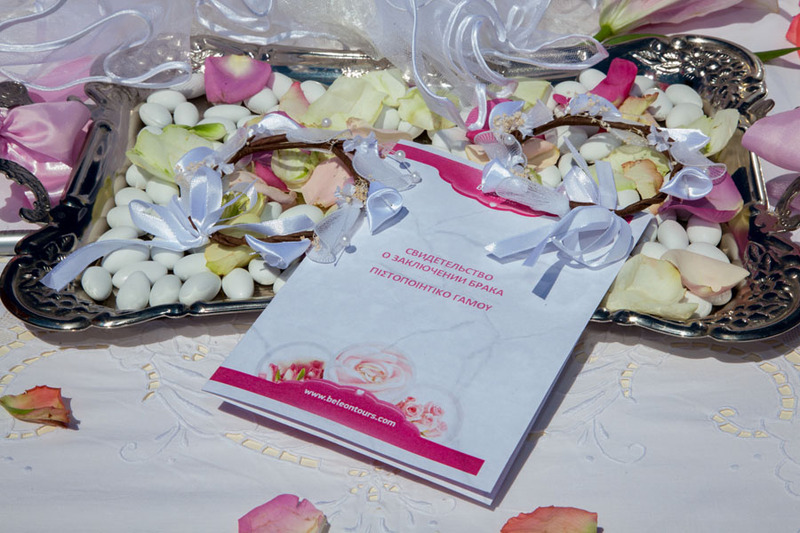 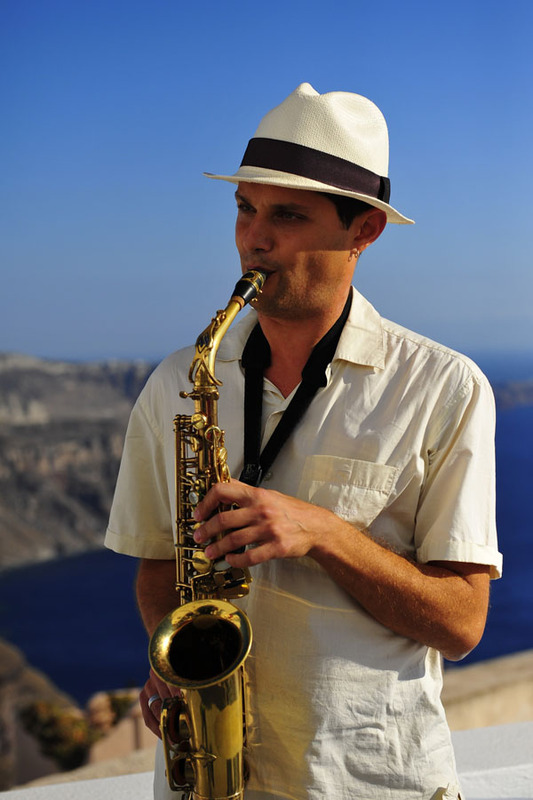 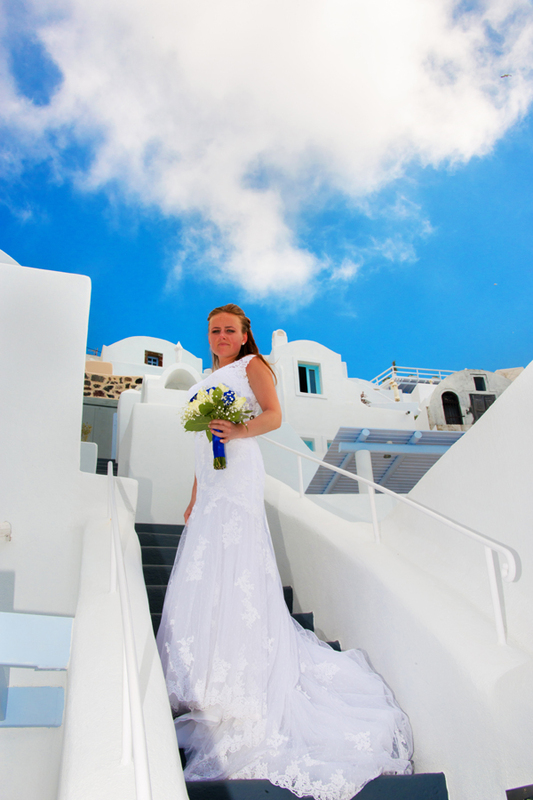 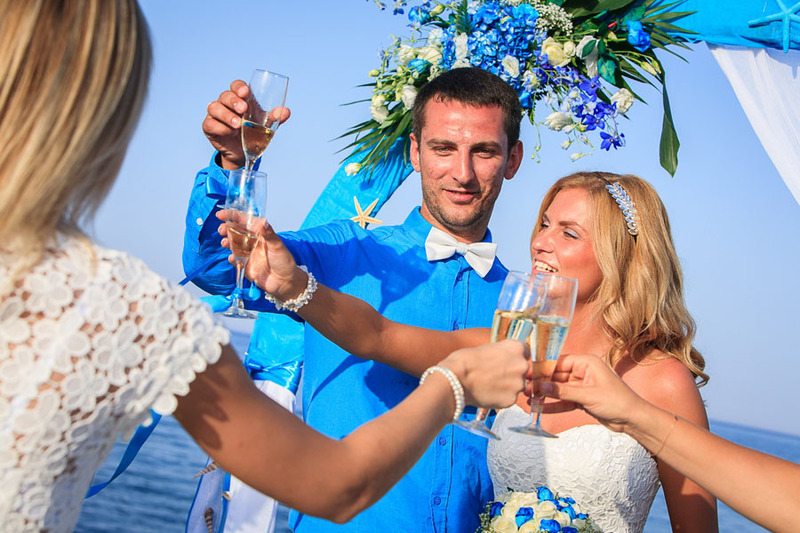 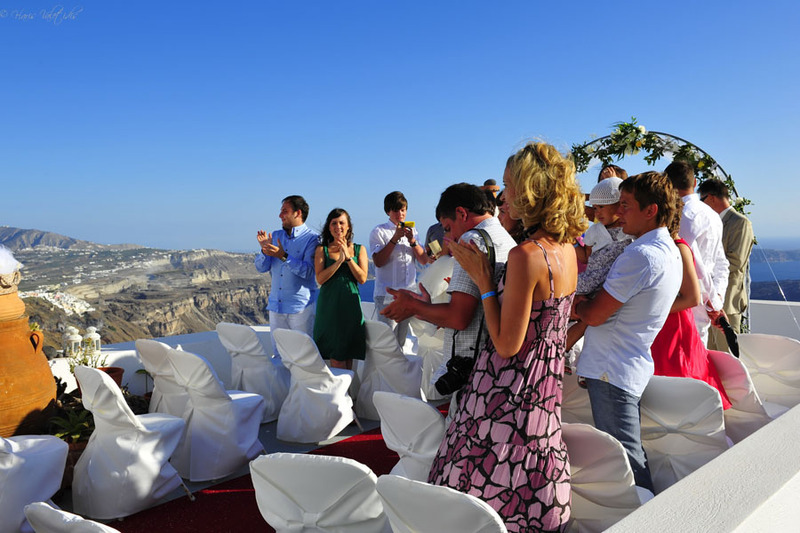 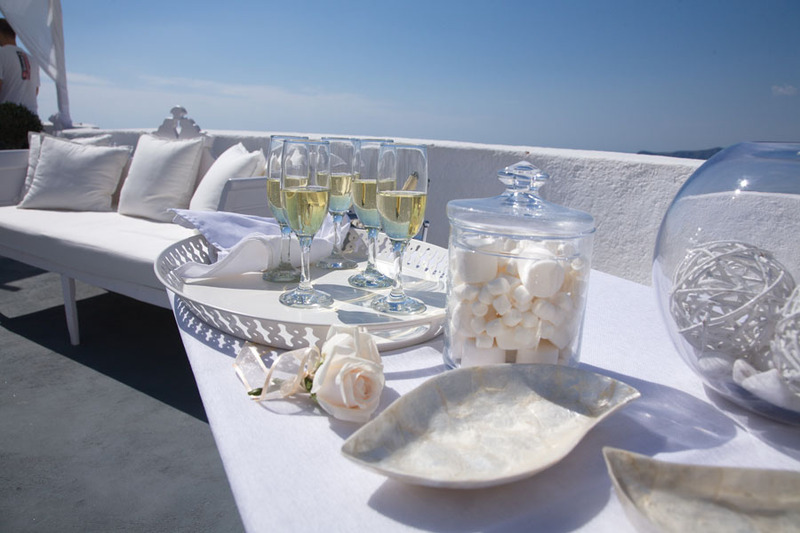 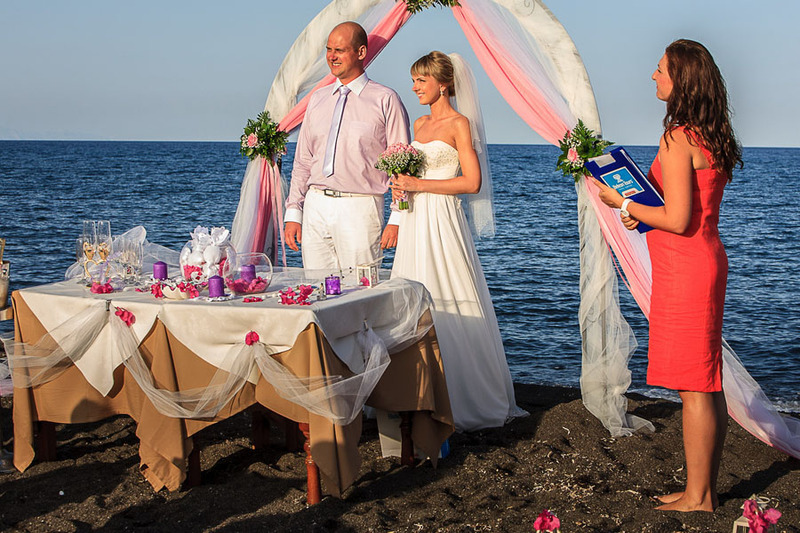 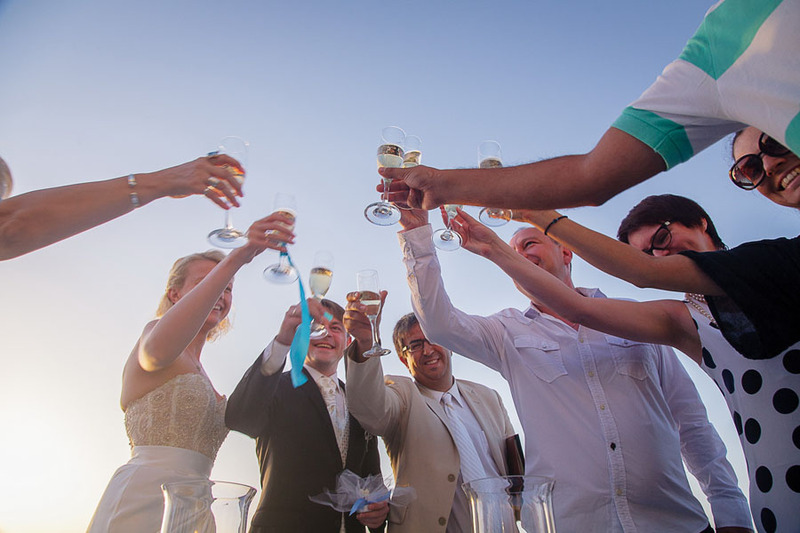 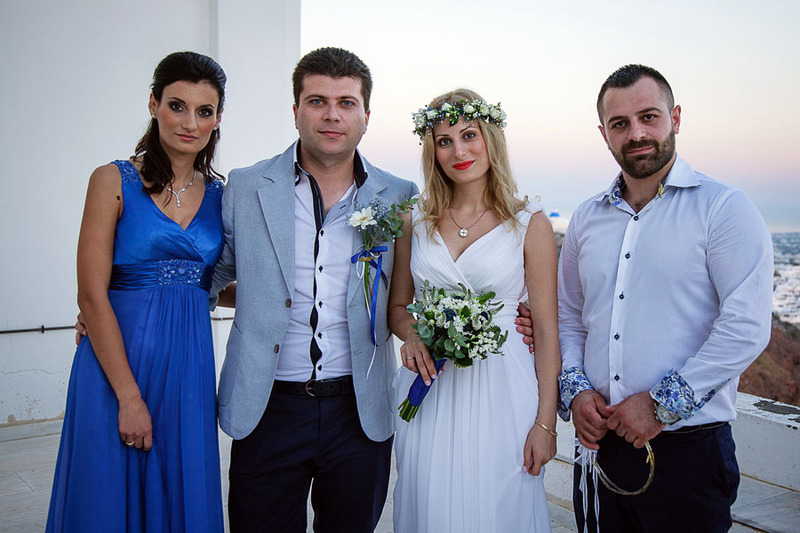 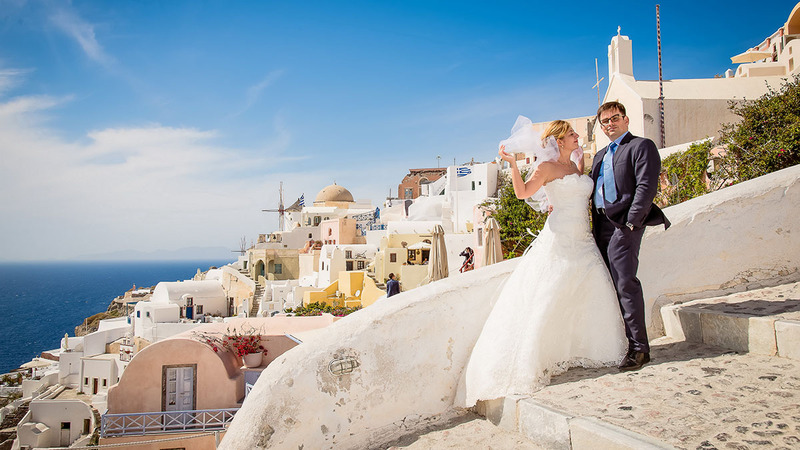 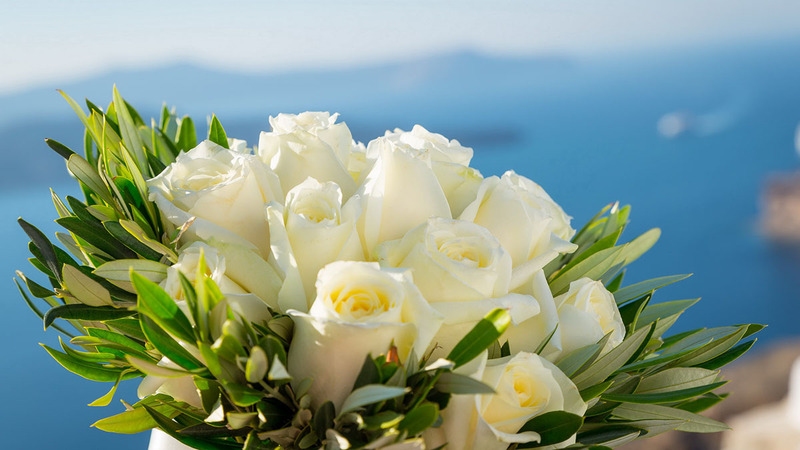 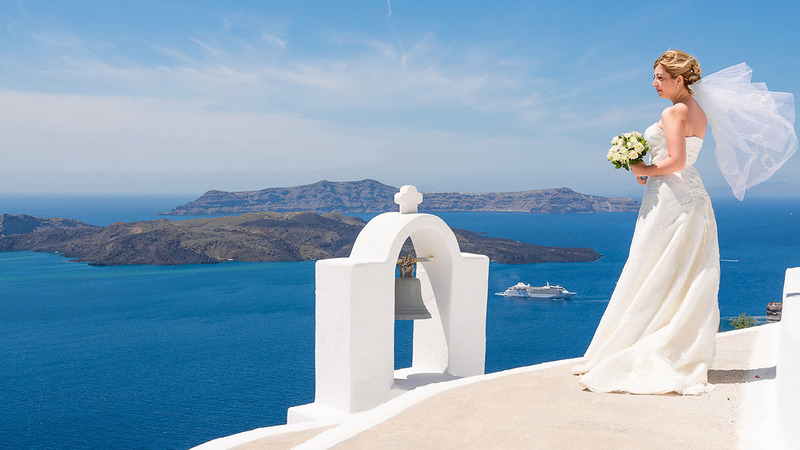 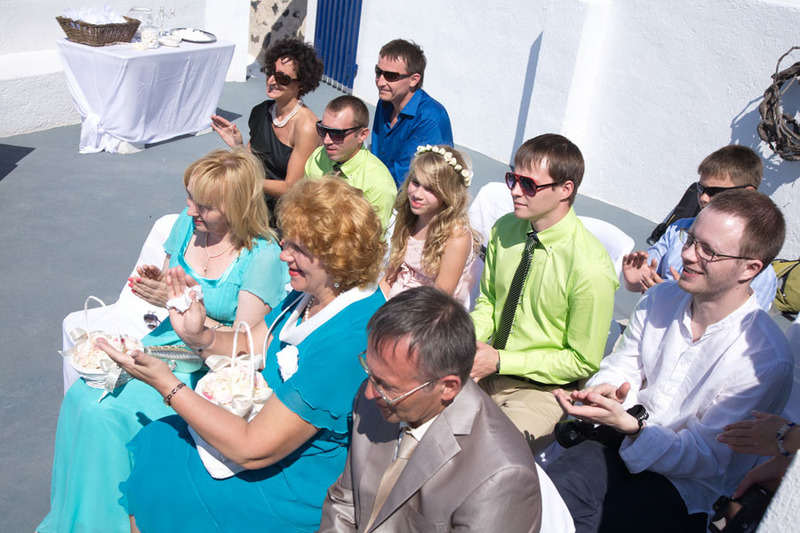 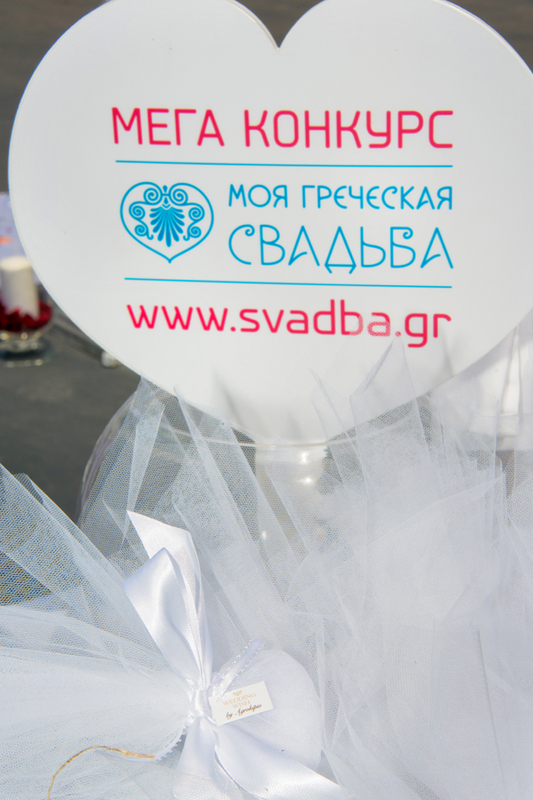 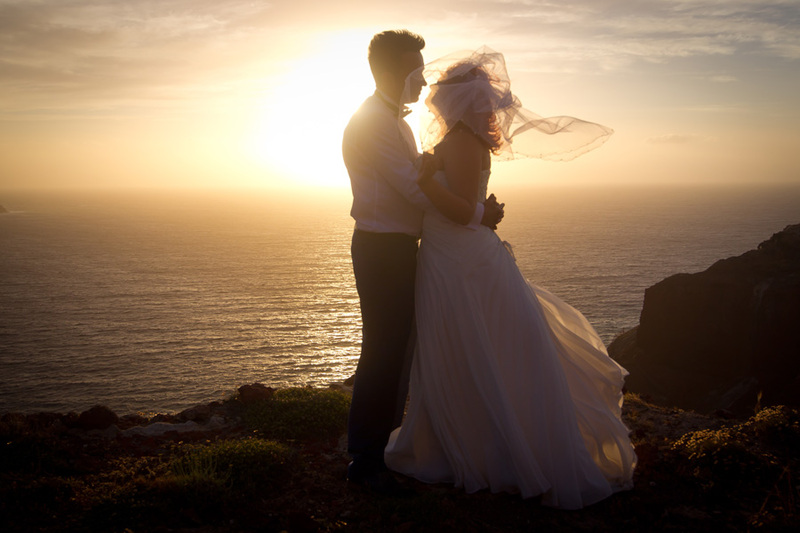 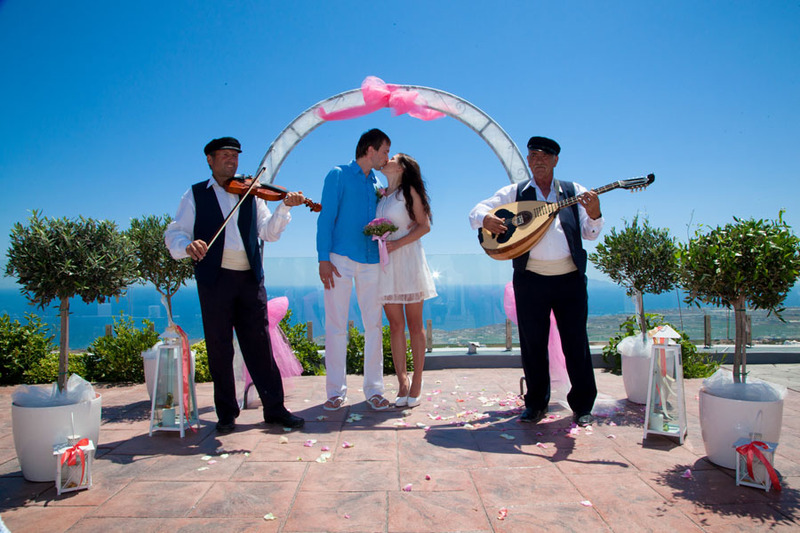 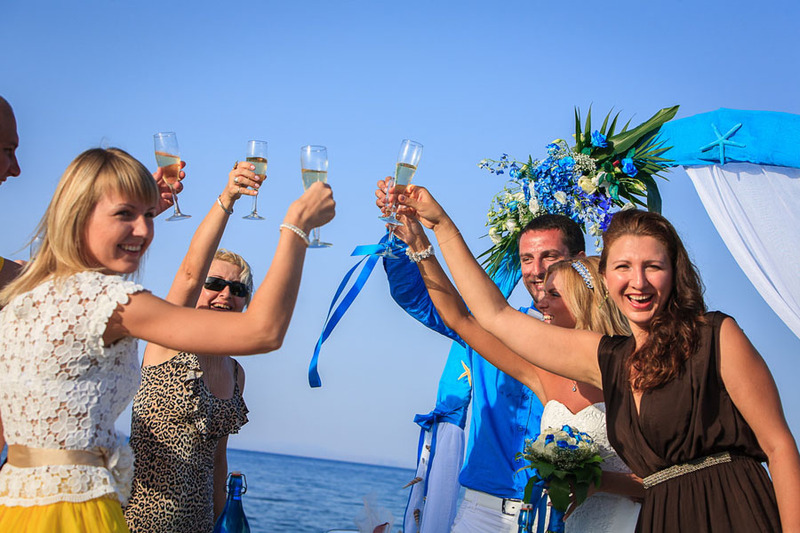 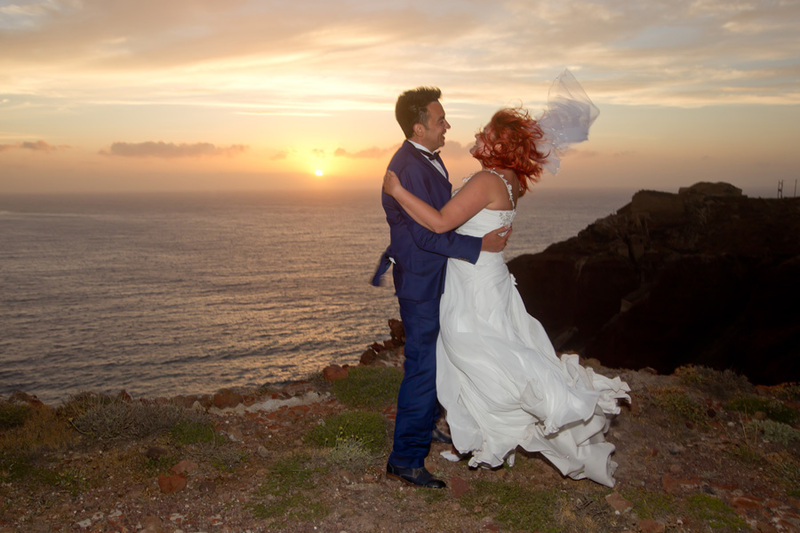 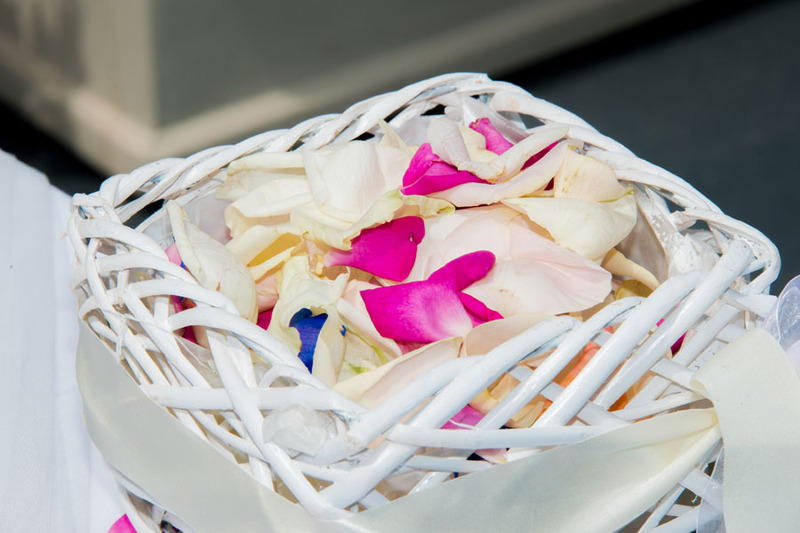 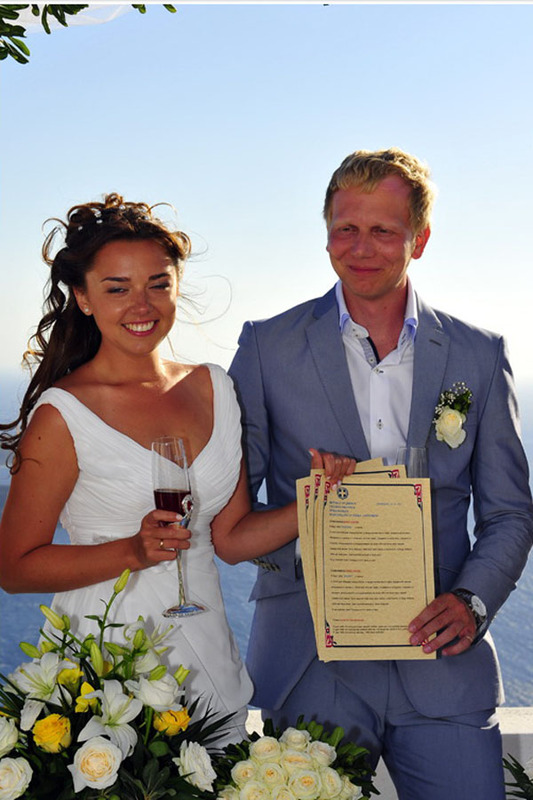 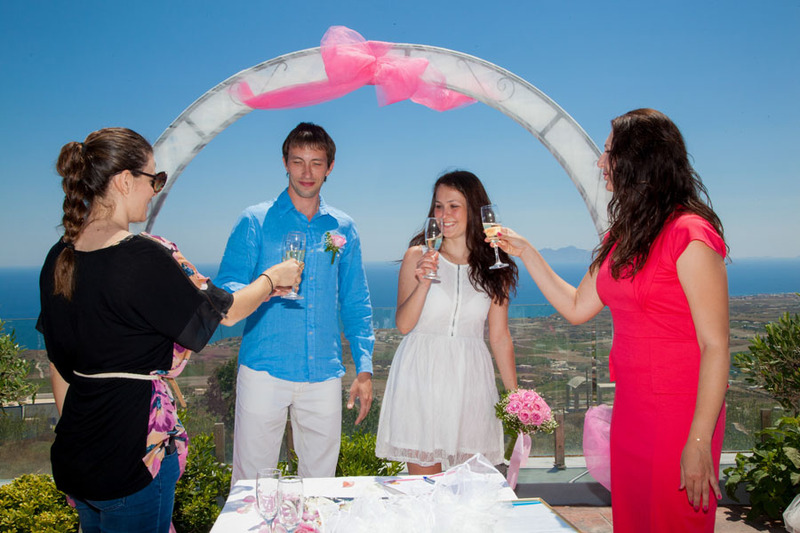 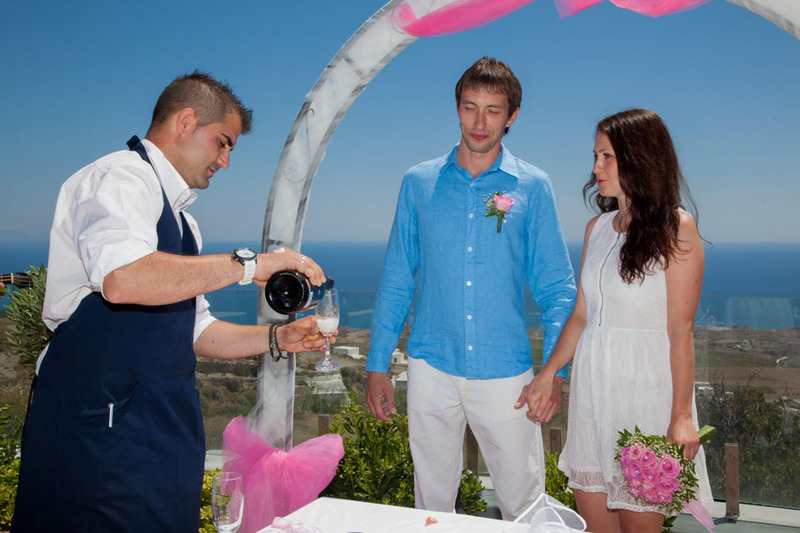 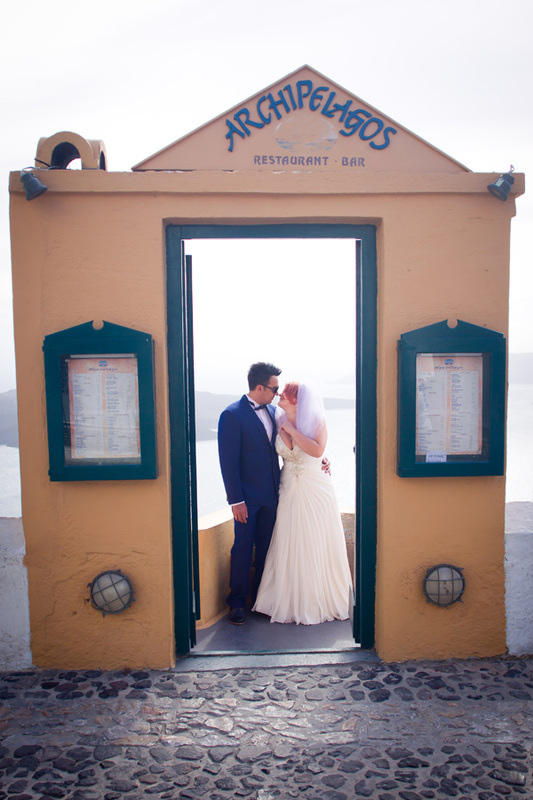 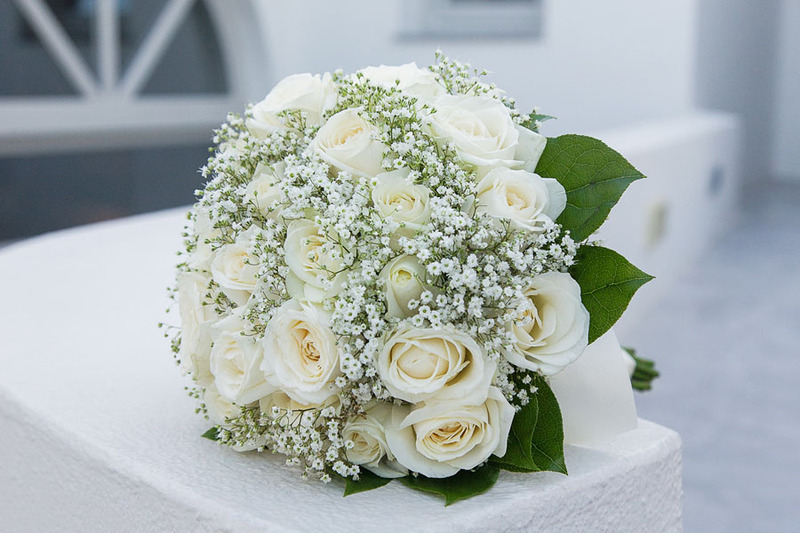 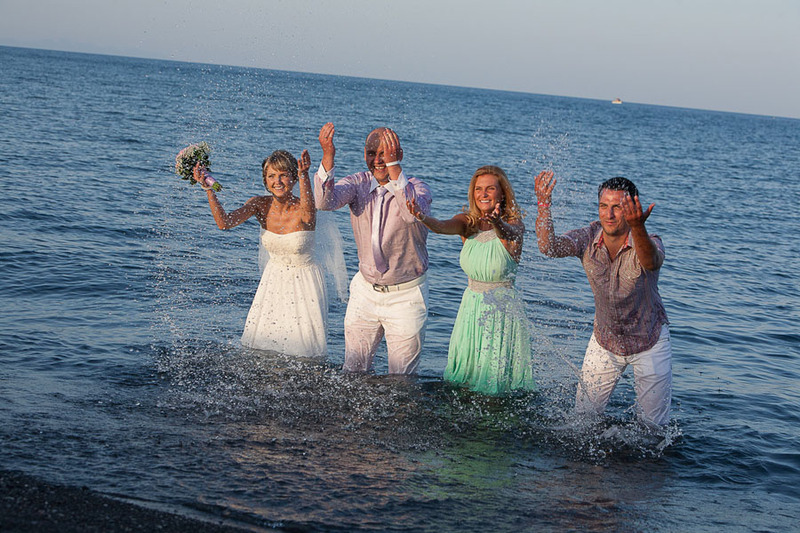 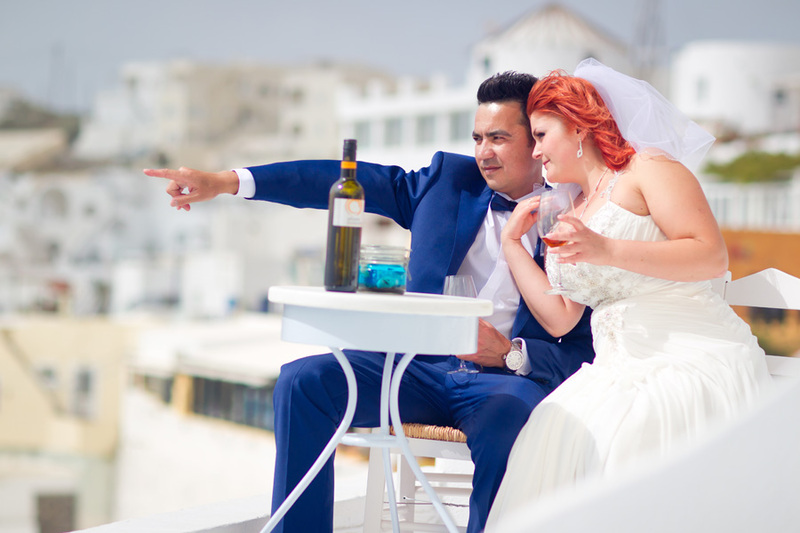 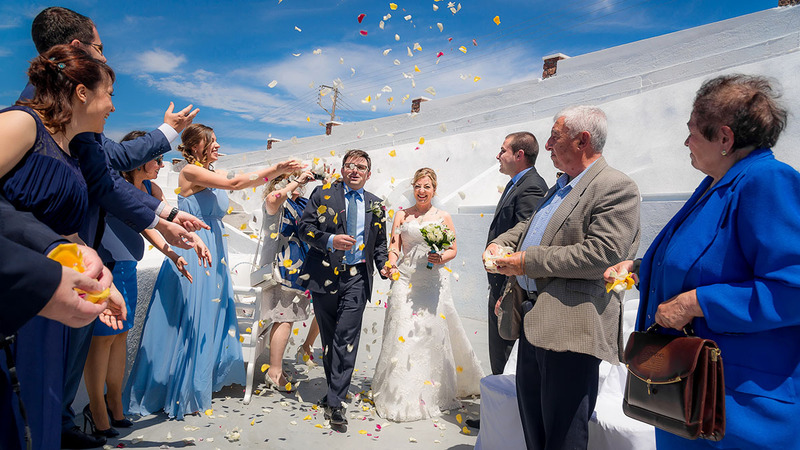 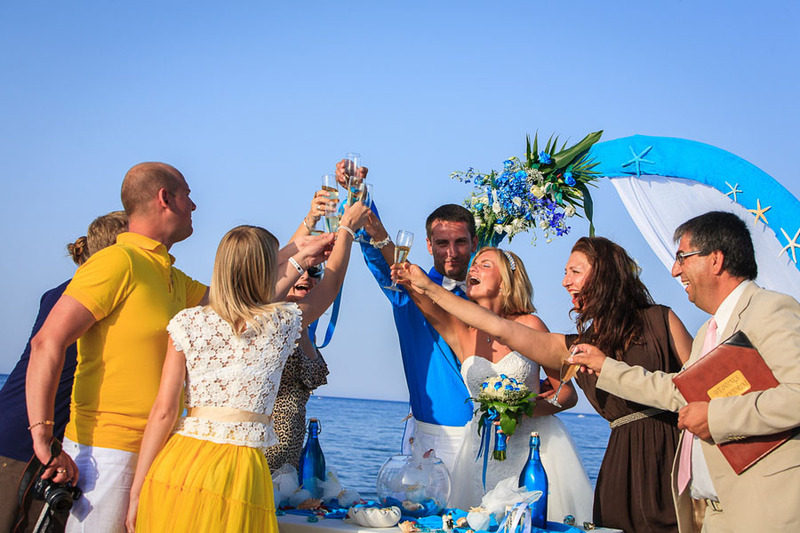 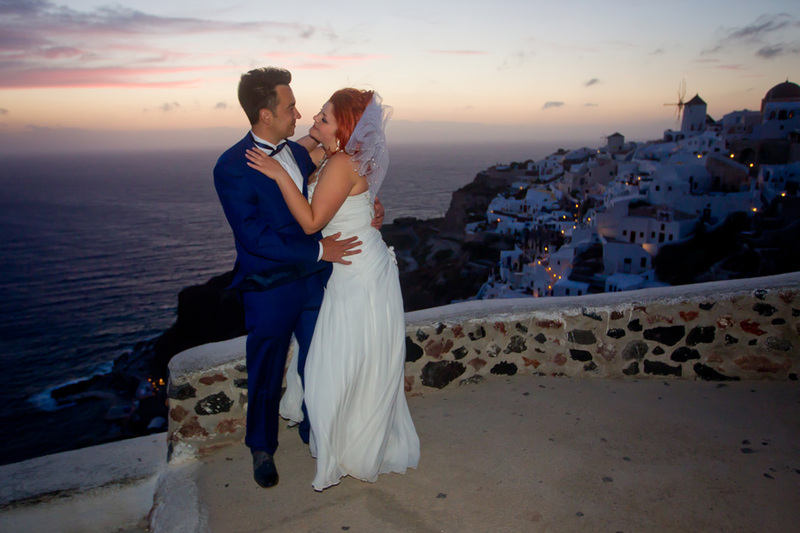 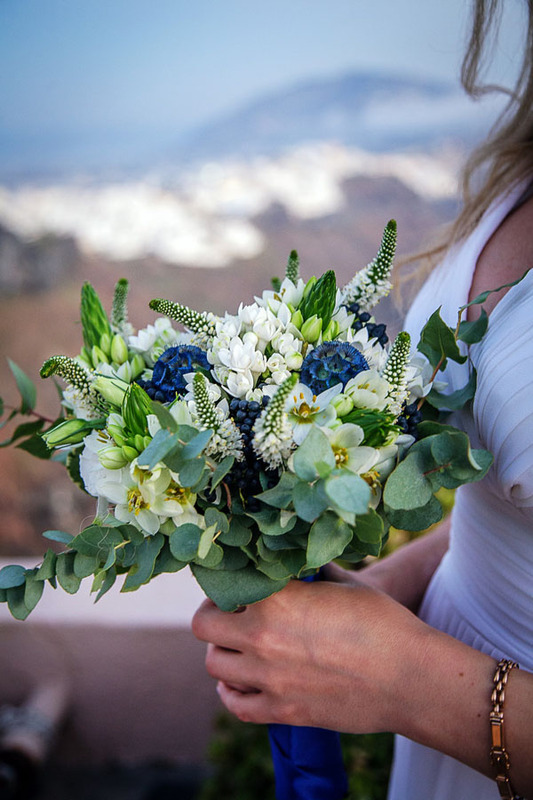 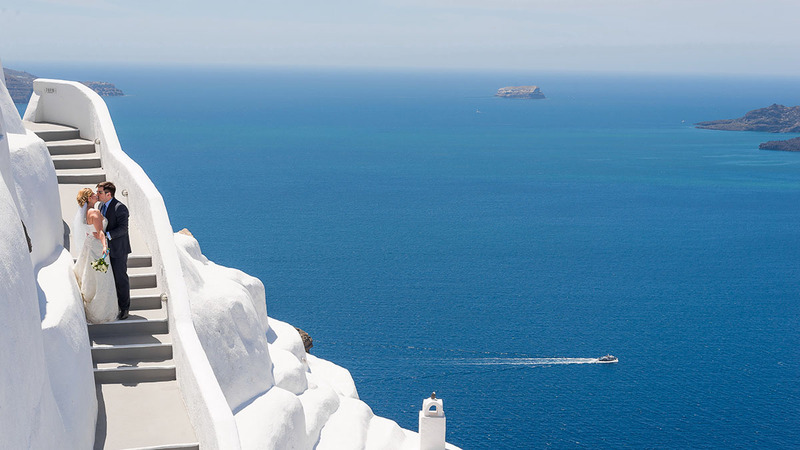 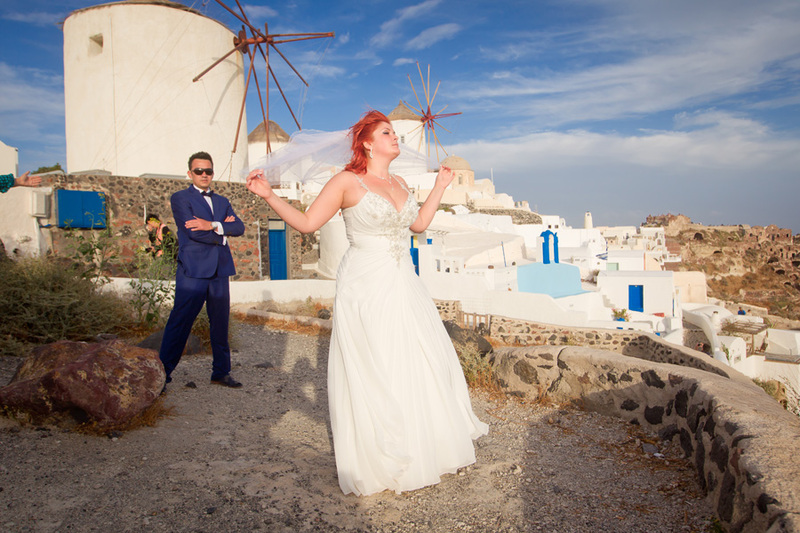 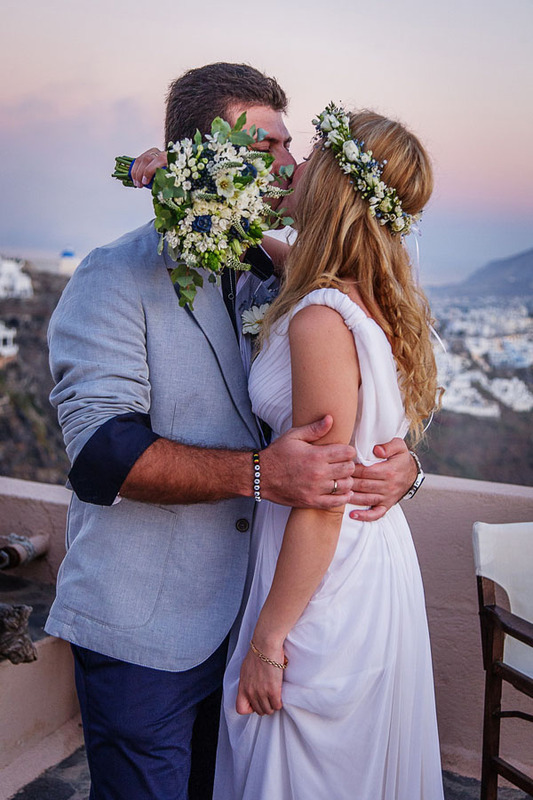 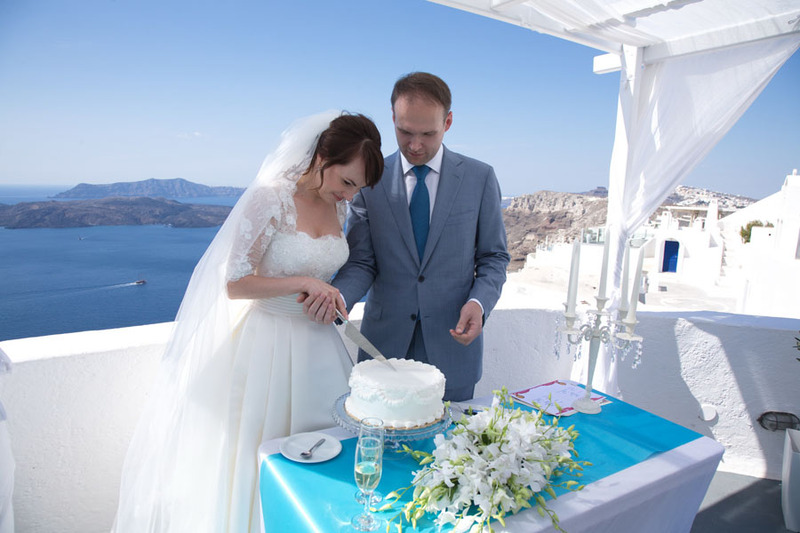 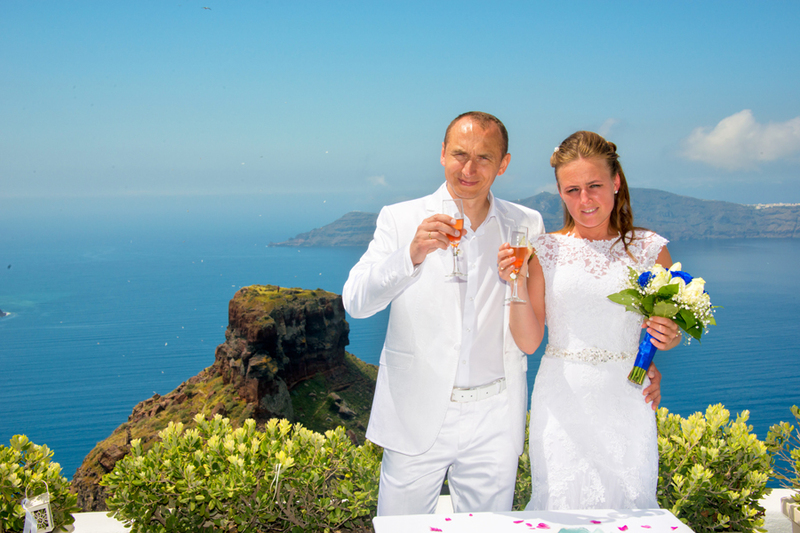 Your wedding on Santorini will become an unforgettable experience that you will cherish for many years.